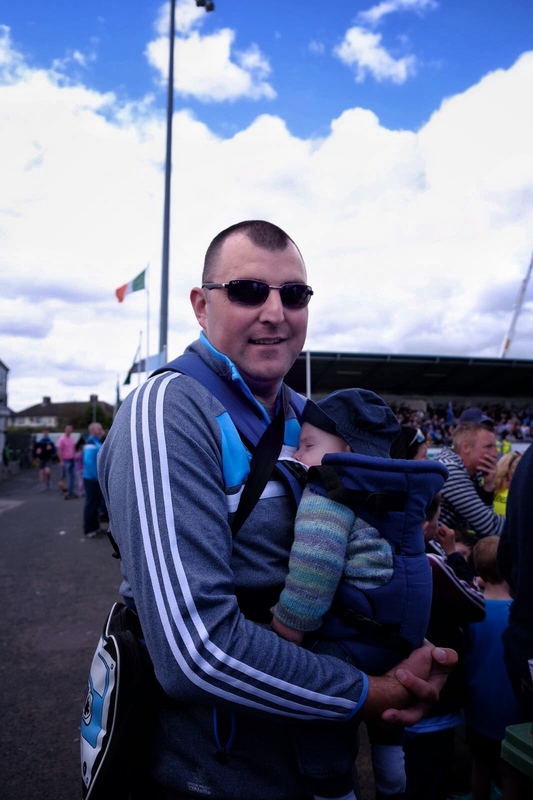 Sunday’s All-Ireland Final was the 15th All-Ireland Final I have been to, but the first one that did not involve Cork. 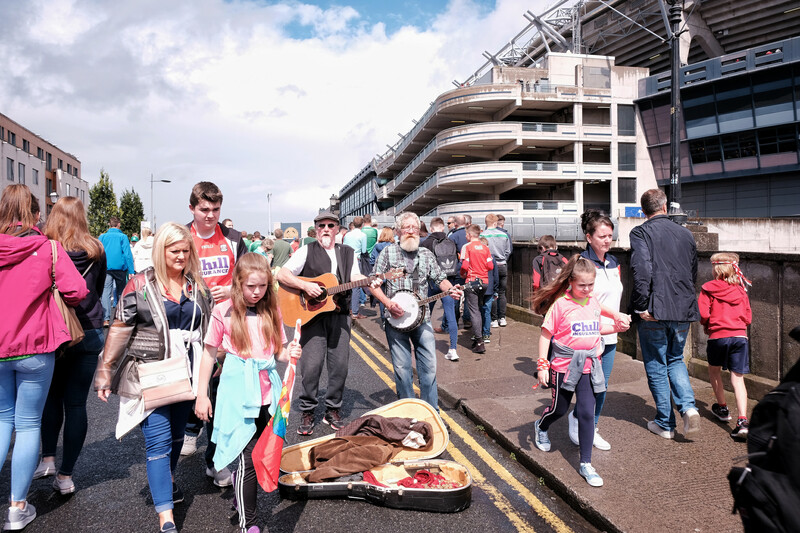 Back in May when I set out on this project the dream was that the Rebels would reach the final, win it and that there would be a glorious homecoming back to Leeside for Liam McCarthy after, what is for us, a huge wait of 13 years. Not to be. Not this year. 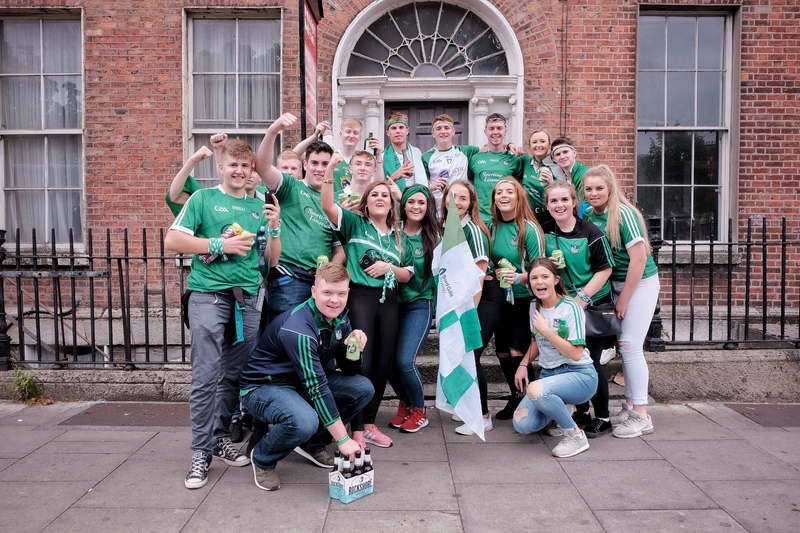 No, this year was destined to be Limerick’s. I got the Luas into town about 10.30. It was busy, even at that early hour. At each stop more and more fans got on. 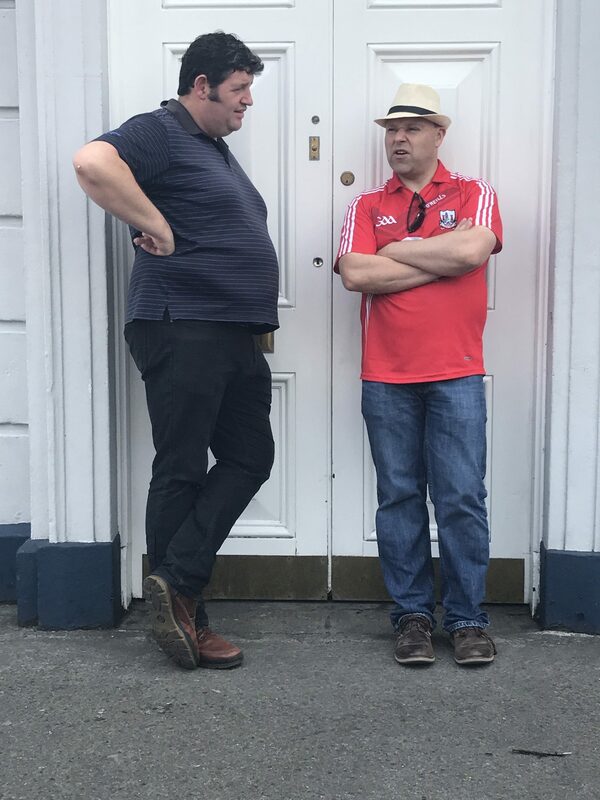 Hushed conversations about tickets, rumours of injured players and who had predicted what in the Sunday papers could be heard. 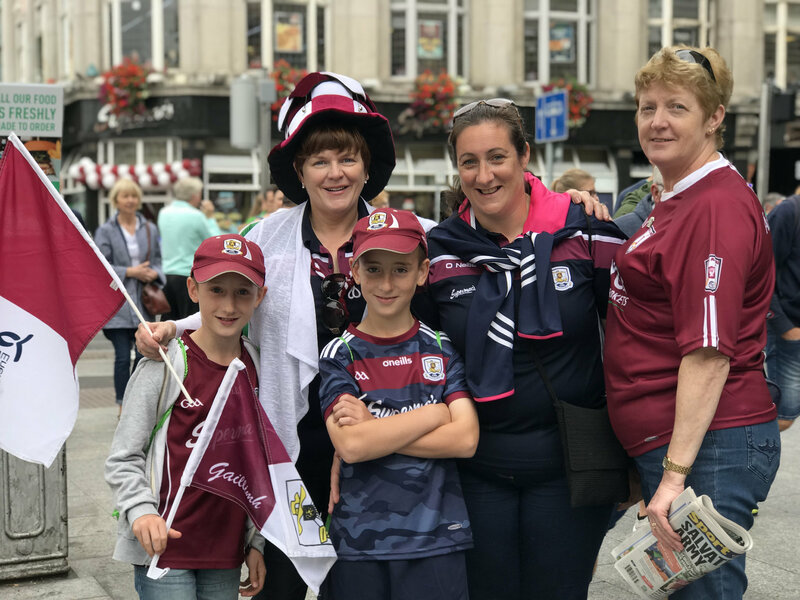 Getting off at Stephen’s Green and heading down Grafton Street the green of Limerick began to become very evident and outnumbered the maroon of Galway. 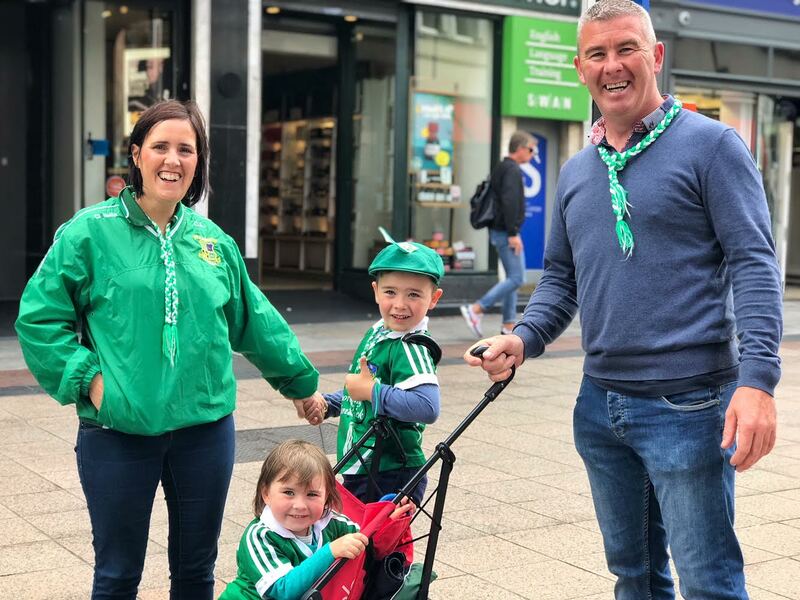 Young families decked out in green pushing buggies, groups of young fellas caped in Limerick flags out looking for an early house to settle the nerves and elderly gentlemen with discreet greens walking alone, all killing time, trying to stay occupied until the throw-in at 3.30. “I’m a teacher. The kids in my class got me this t-shirt last year. It has brought me luck thus far. Let’s hope it continues today.” Vincent Brannelly told me. 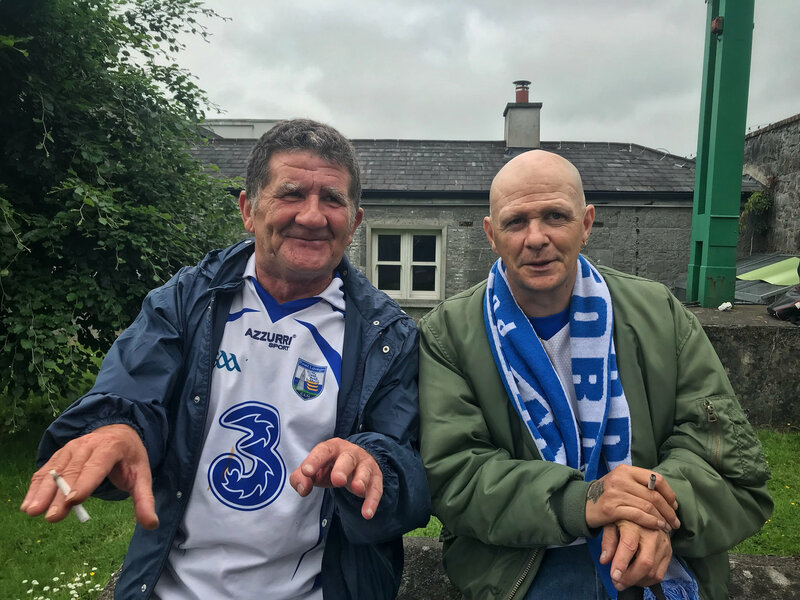 “I flew in from Denmark yesterday, but I’ll tell ya, if we win today, it might be a long time before I get back.” Frank O’ Carroll (on left) told me. 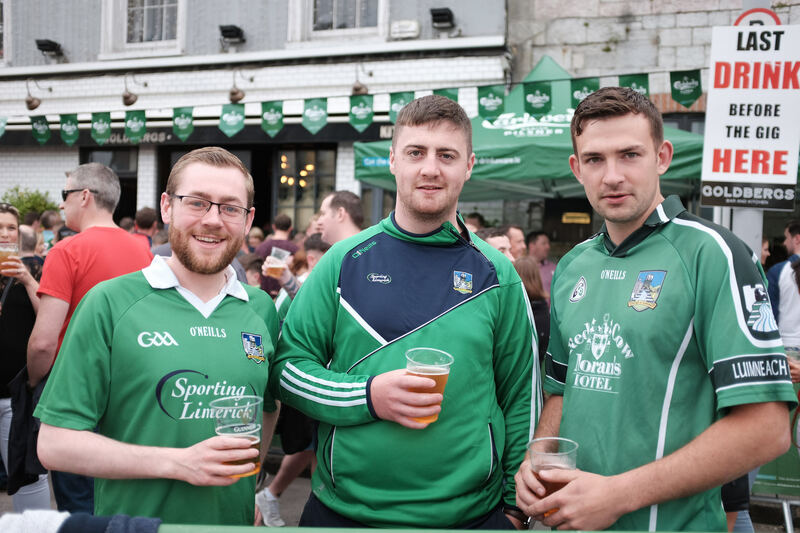 Here he is with his friends Tadhg Carey and Liam Horgan. The lads had tickets for the banquet after the match. I can only imagine the craic they had at that. “The two Mannions. 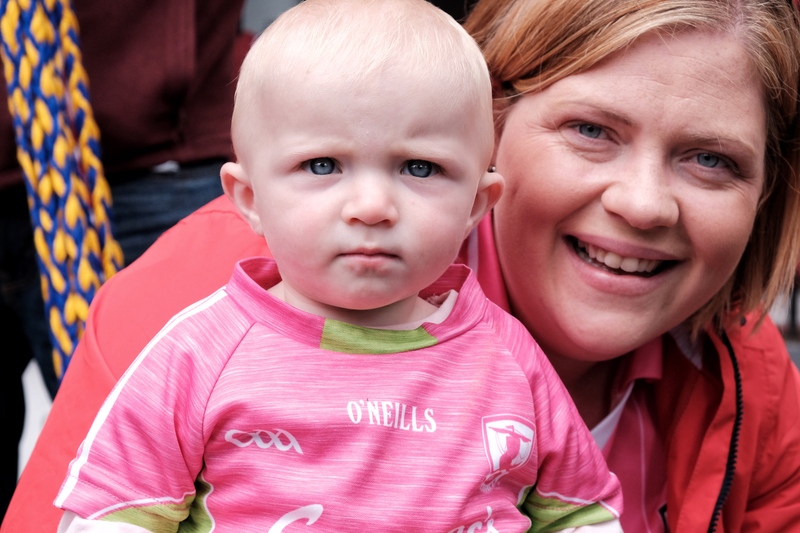 They’re my favourite players.” Young Darragh Monaghan told me. “Mine too!” said his brother Cormac. 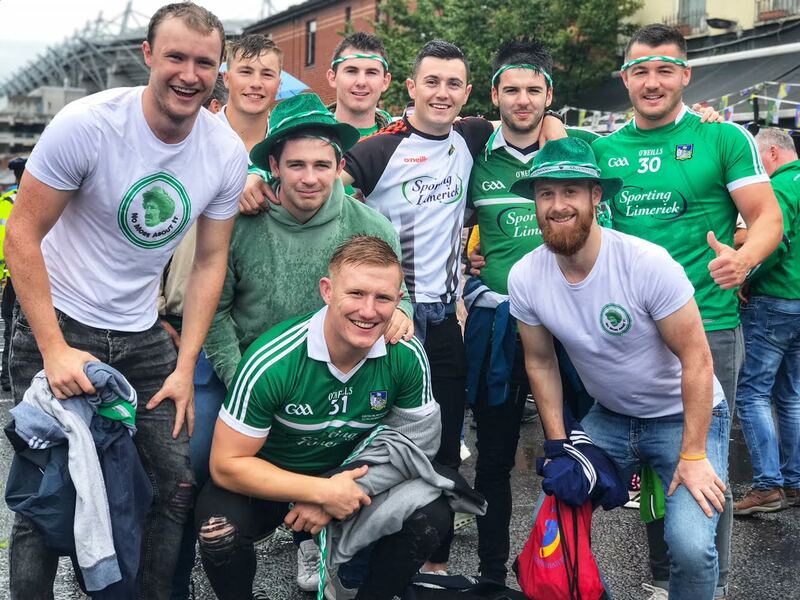 Gas lads enjoying the craic of All-Ireland Final day. 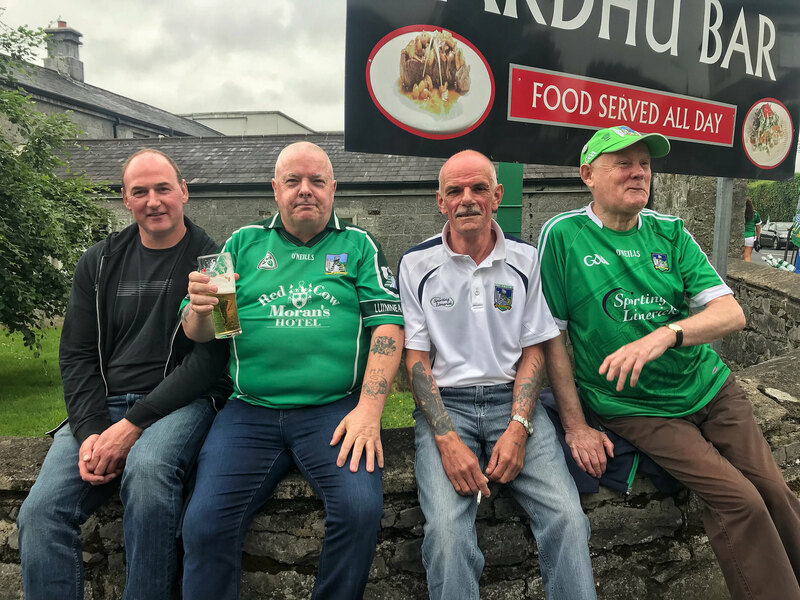 From left to right: Rob Henehan, Laurence Hogan, Will Hayes, Darrach Skelly and John Buckley – ‘the Cork lad’. “Don’t kill me now, but for the life of me I cannot remember your name.” I said. “That is Sir William O’ Dea.” his match day friend John Lillie told me. 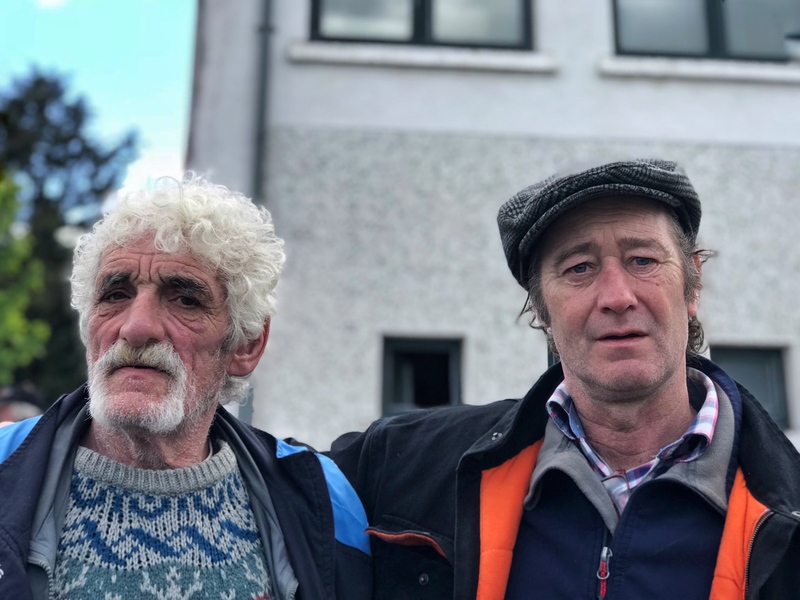 Willie was too young to remember 1973 but his two friends John Lillie and John Keating did. “What stands out for ye about the day?” I asked. “The bloody rain. The rain and the ink from the paper hats running down my face!” John Lillie said. “What do I remember from ‘73? The rain! It was torrential. That and the pitch invasion afterwards. 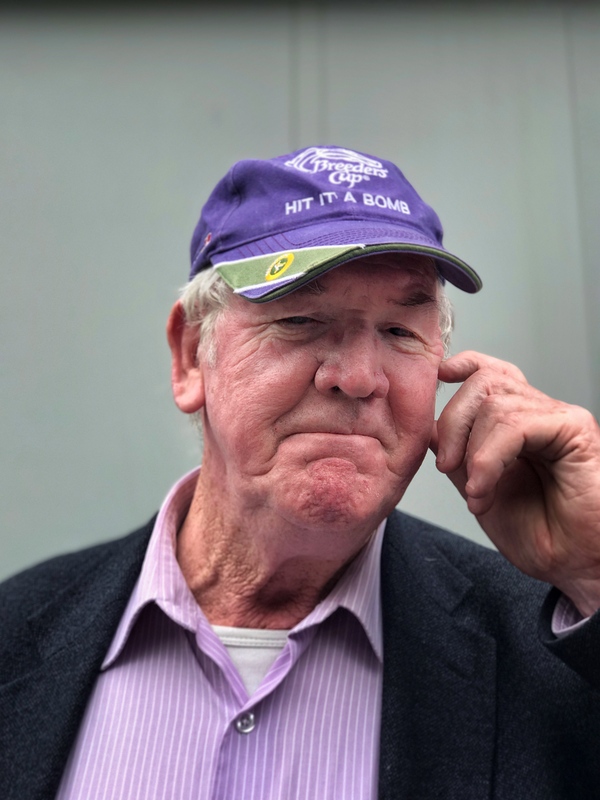 It will stay with me forever but I hope today will be better.” Bill Chalk told me. 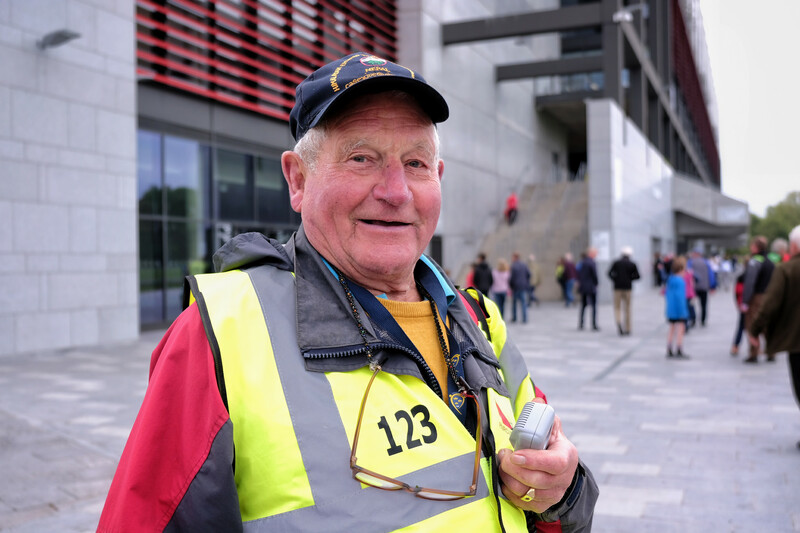 “Oh, we’re friends now, but come five o’clock we mightn’t be!” Breen Doris from Galway told me. 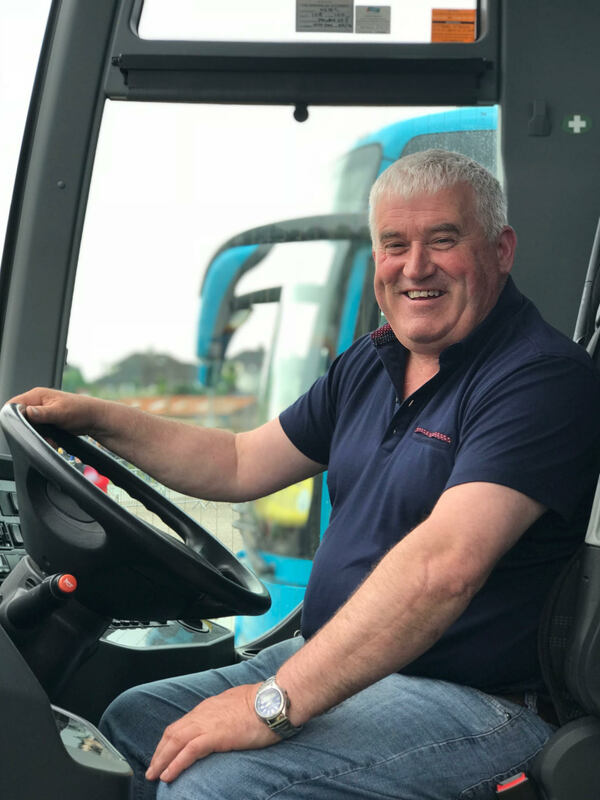 “Ya, he might have to take the bus and I’ll get the train!” Colm Woods said. Over the course of the past three months and sixteen games I’ve gotten to see familiar faces at the games. 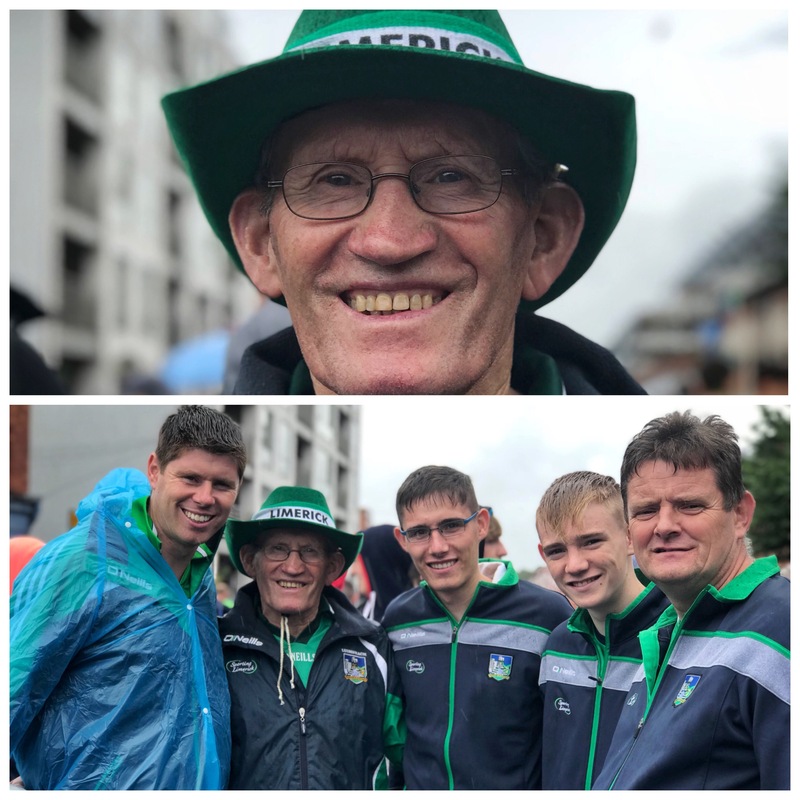 Always been a pleasure to meet Galwayman John Ward at the games. Always up for a chat and to display the colours. “OK. I am confused. 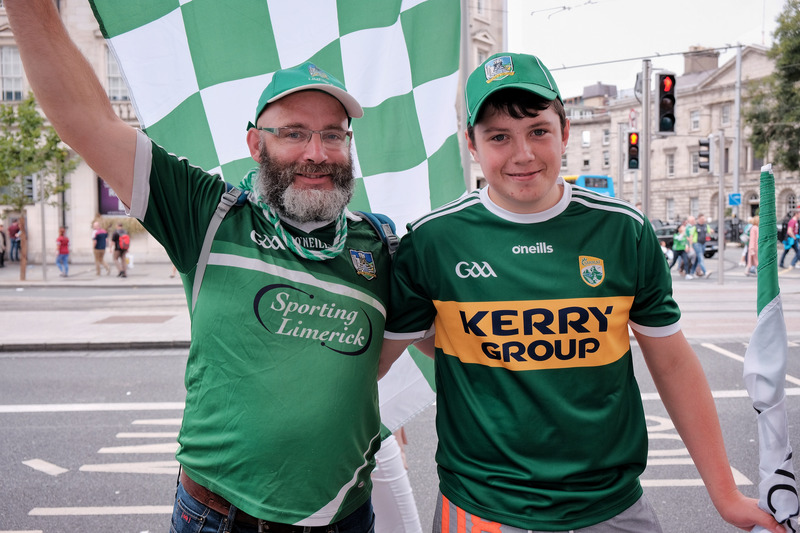 That’s a Kerry jersey, but you have a Limerick flag and Limerick hat. What’s going on?” I asked. 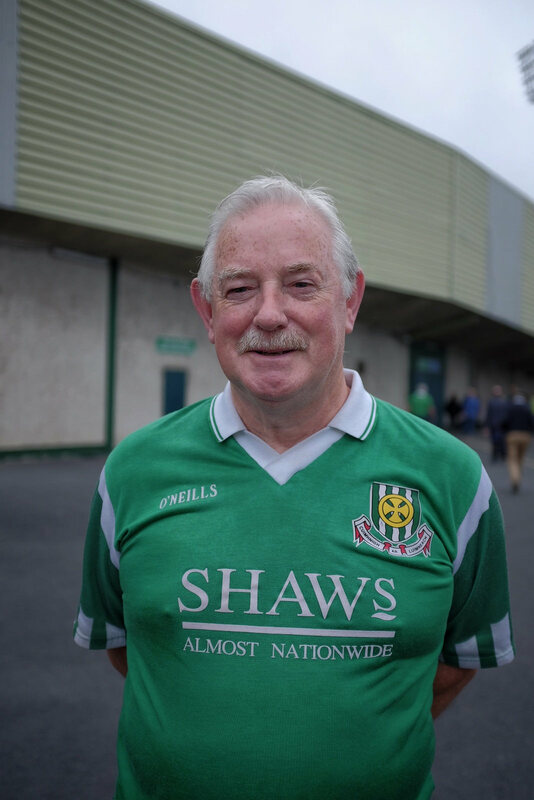 “Well, I wanted to get a Limerick jersey but they were all sold out. 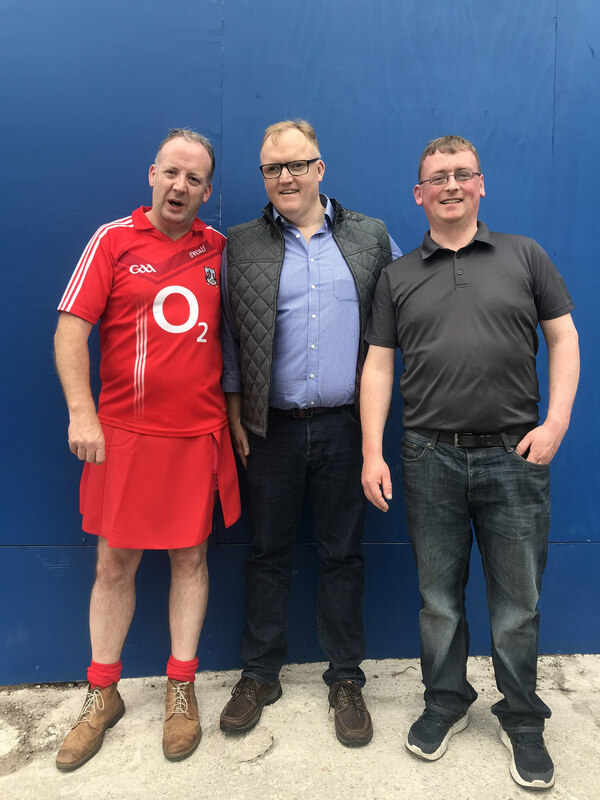 So, the only one that was left that was green was this one.”Luke Fox who was heading to Croke Park with his dad Ger told me. 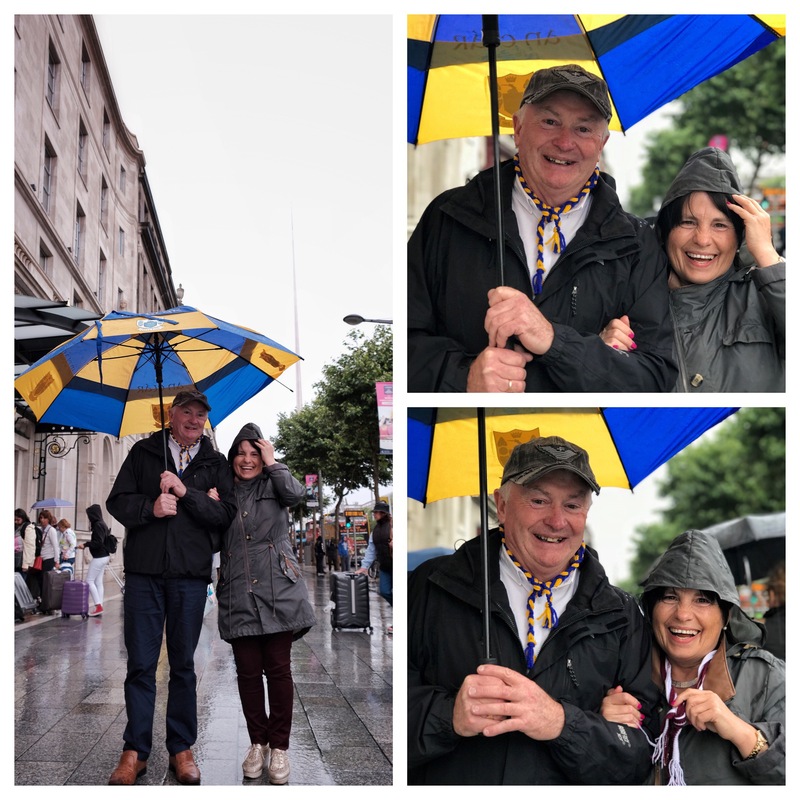 “Galway girl!” Ji Jay told me. “Ye’re following Galway girl because of Ed Sheeran?” I asked. “Yes. Ed Sheeran. 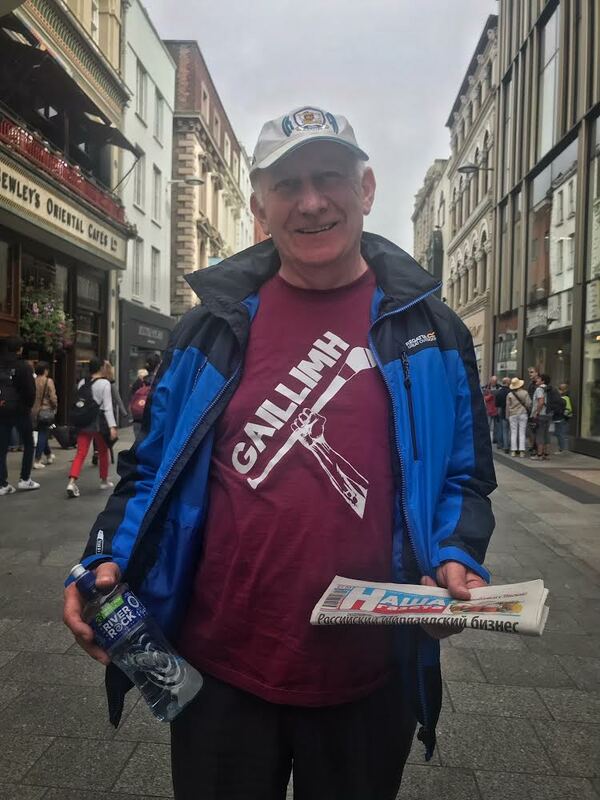 Galway girl!” he replied. “You got married last week? 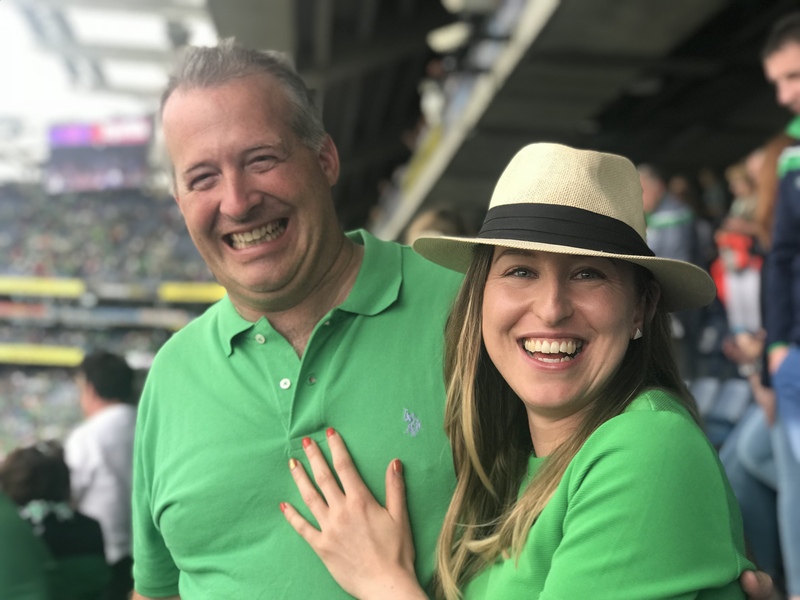 The All-Ireland is your honeymoon?” “No. 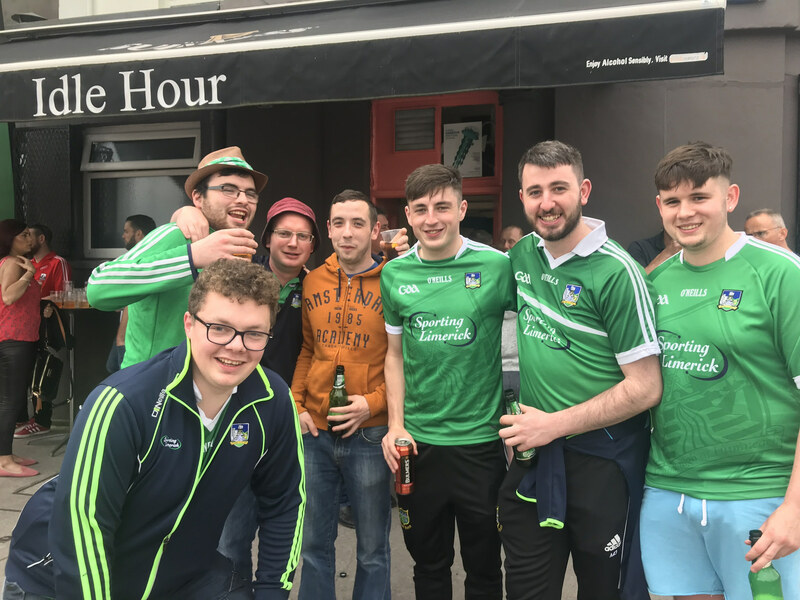 We postponed when Limerick got to the final. We will go now in October. But this is better than a honeymoon.” “Where’s your husband now?” “Inside in Gill’s getting us drinks!” “That’s the way to have it.” I said. And so it comes to an end. This has been the most wonderful experience for me. Sure, Cork did not make my dreams come true, but I am very proud of them. 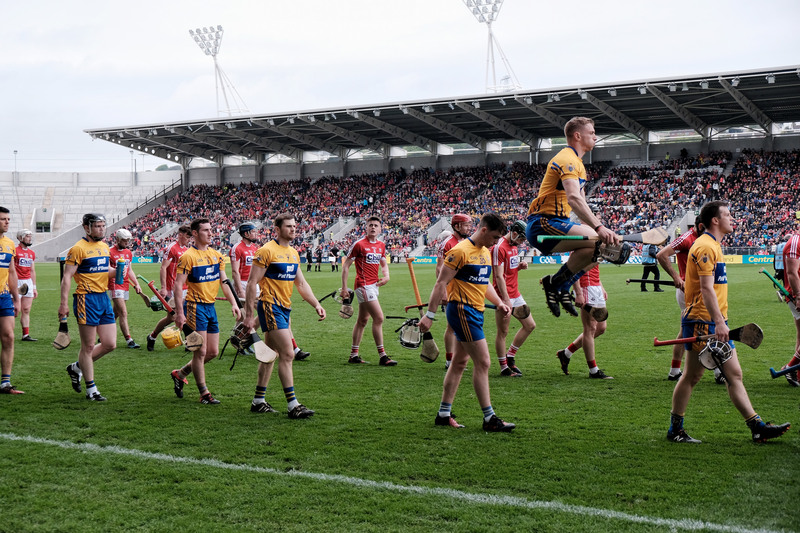 They played some magnificent hurling and won out in Munster. We will look to next year. I got a feeling it will be Cork’s year. 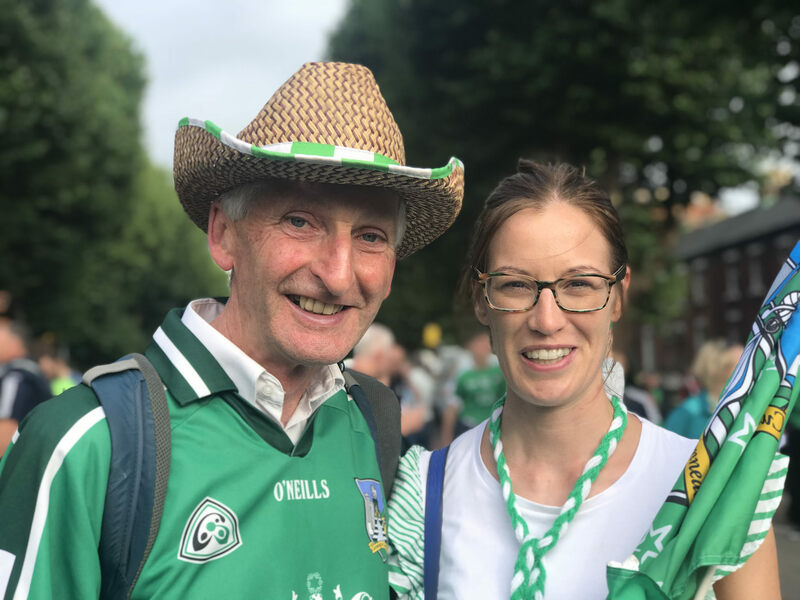 For now, it is all about Limerick. 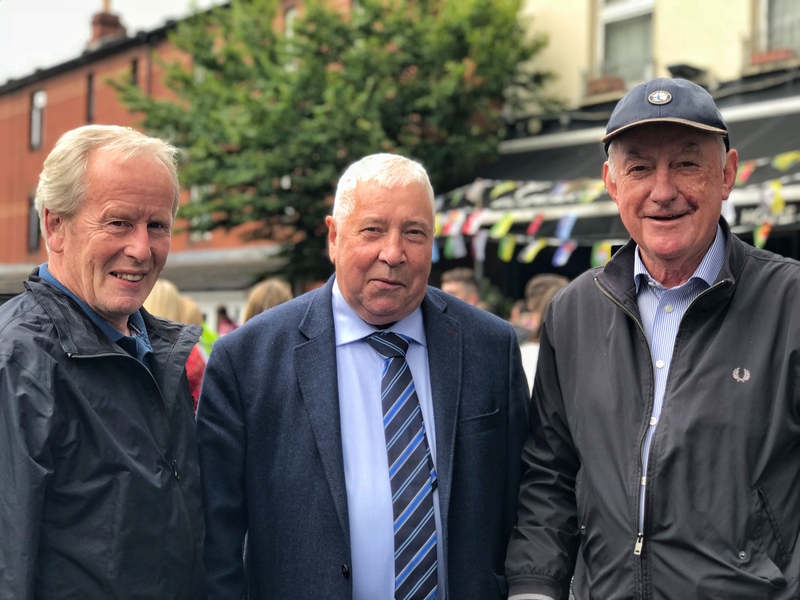 So happy for the great people I met from Limerick over the summer that 45 years has been bridged. Congratulations again! 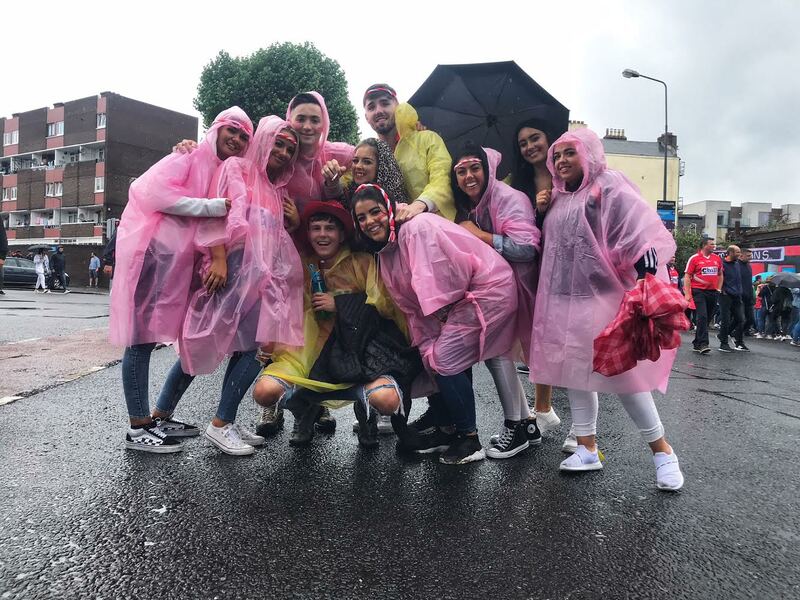 I cannot finish up here without thanking Bord Gais Energy, in particular Conor Barron who was so supportive in getting the project off the ground. Ellen Mackessy was fantastic to work with throughout and am really grateful to her. Thanks to Karena also and all at Bord Gais Energy. 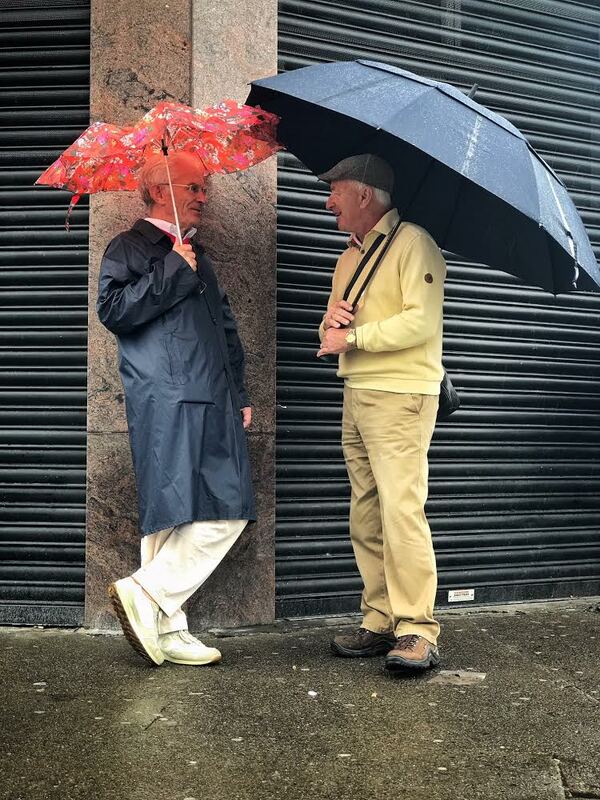 To everyone who stopped and chatted and shared their stories with me – a huge thanks. I will never forget it. Here’s to dreaming it all up again for 2019. 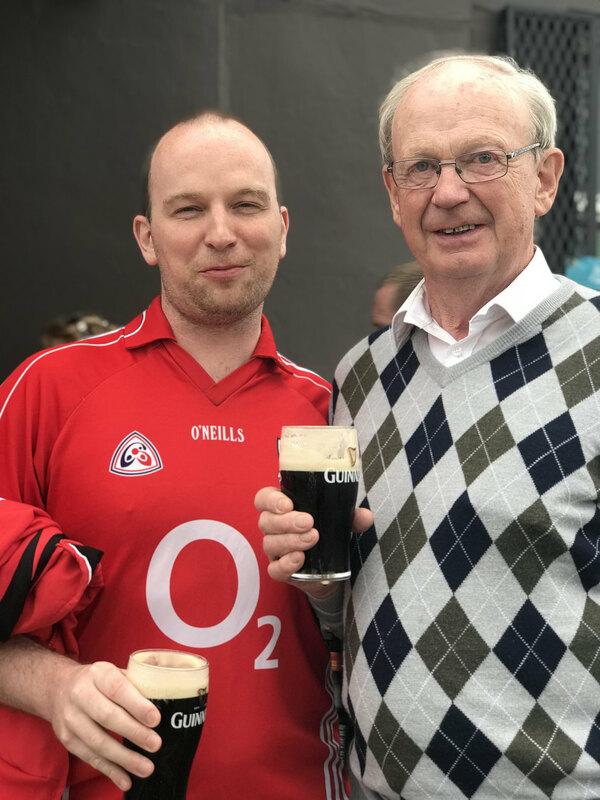 Here’s to hurling! It is time again to allow yourself dream. 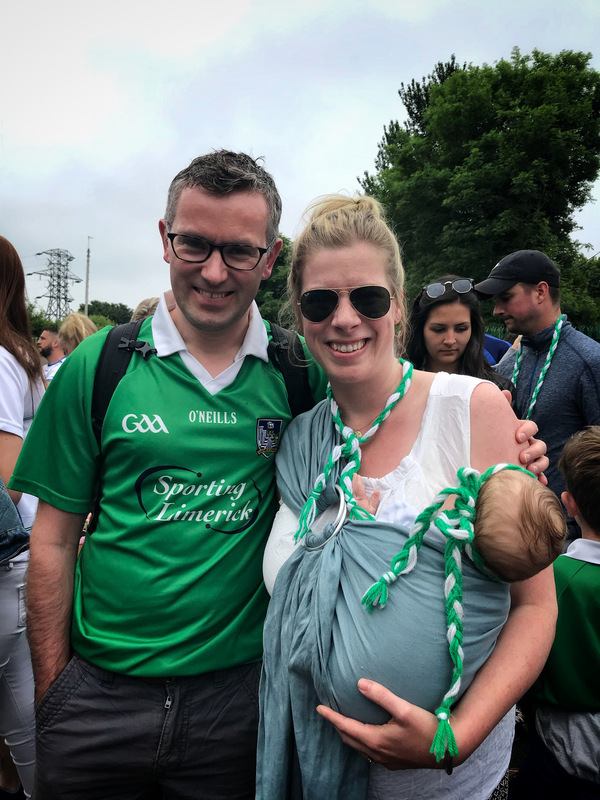 To dream that this year is going to be the year that sees that Liam McCarthy trophy come home. 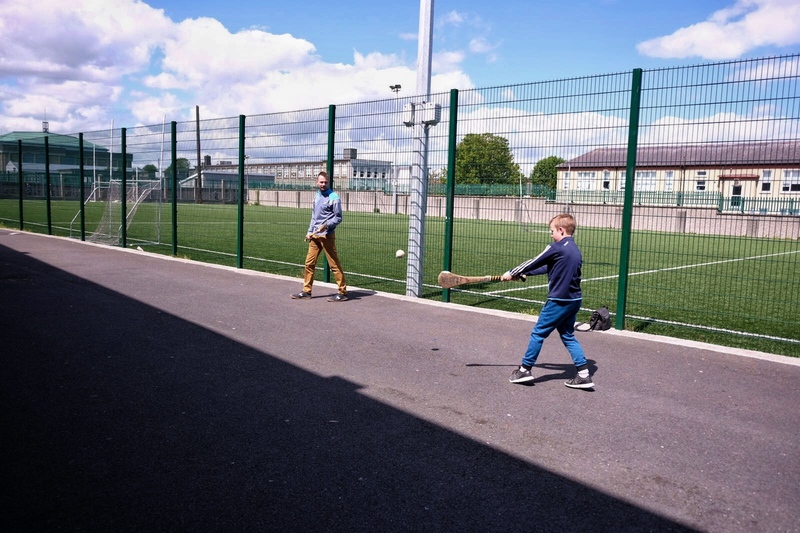 The year that your beloved hurlers will conquer all-comers and emerge triumphant in August. That was my dream as I set out on this photography project back in the month of May. 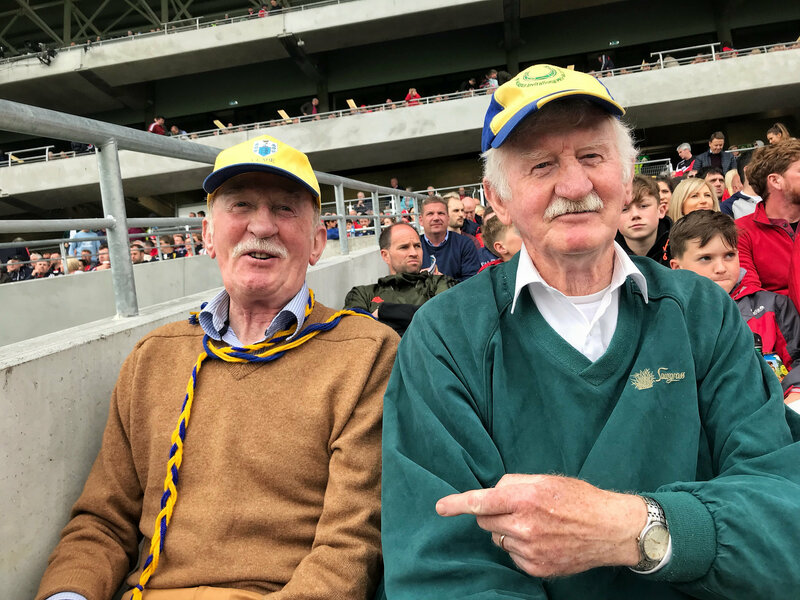 Sitting in the Hogan Stand in Croke Park on Sunday with 7 minutes to go in normal time of the All-Ireland Semi-Final against Limerick I am dreaming. Dreaming of an All-Ireland Final in 3 weeks. 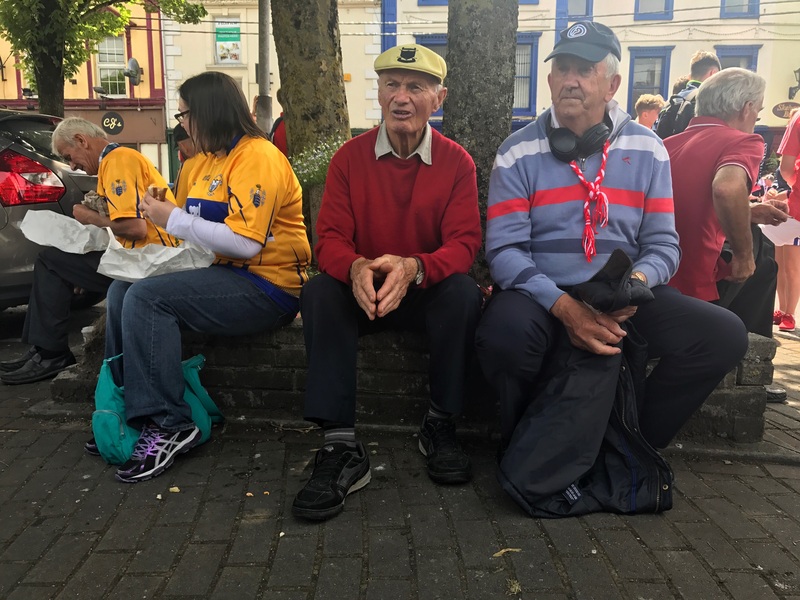 Dreaming a gap of 13 years without Cork winning the Liam McCarthy being bridged. 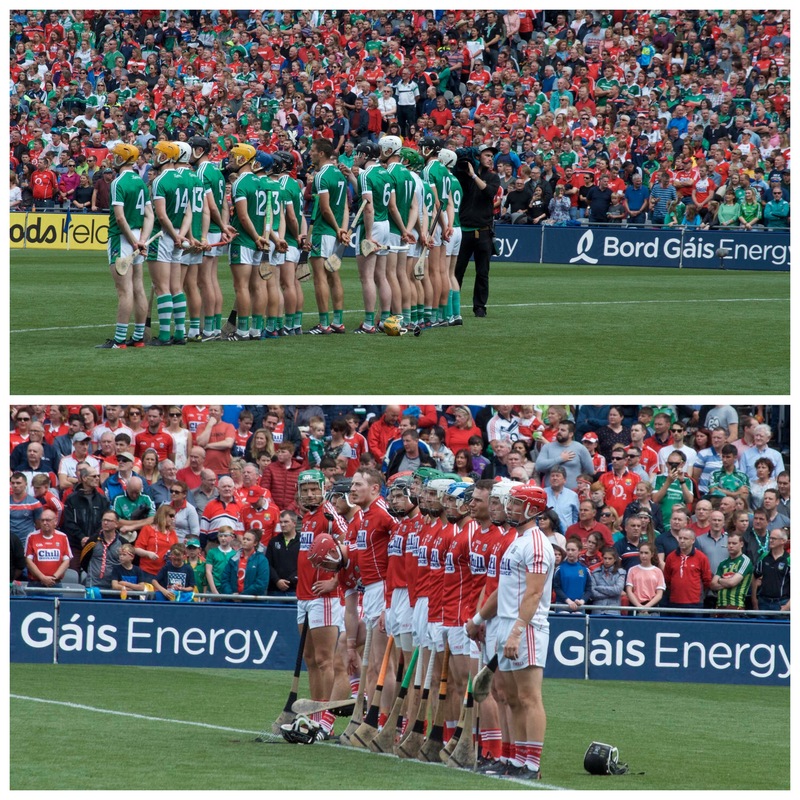 Then Limerick begin to claw Cork back; point by point over the next 10 minutes. With each of these points the dream is distancing. The momentum has swung. 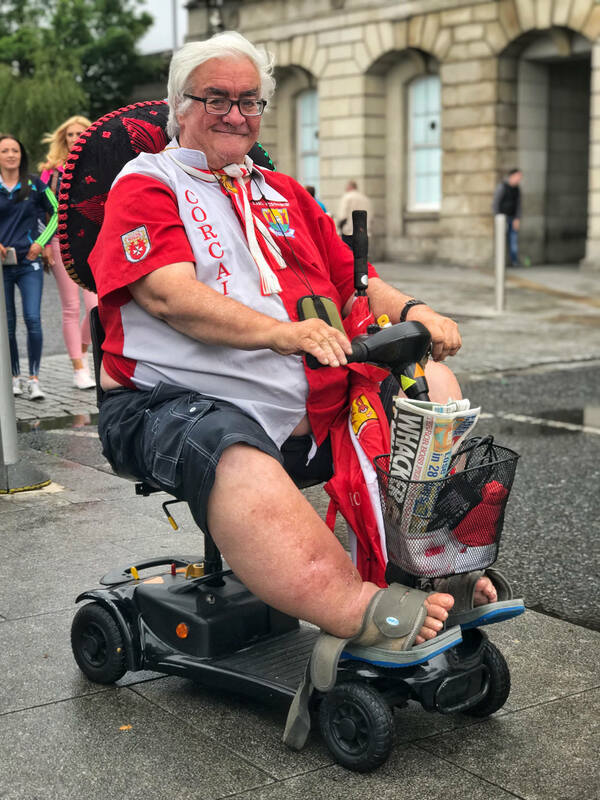 Limerick sense Cork are dead on their feet. 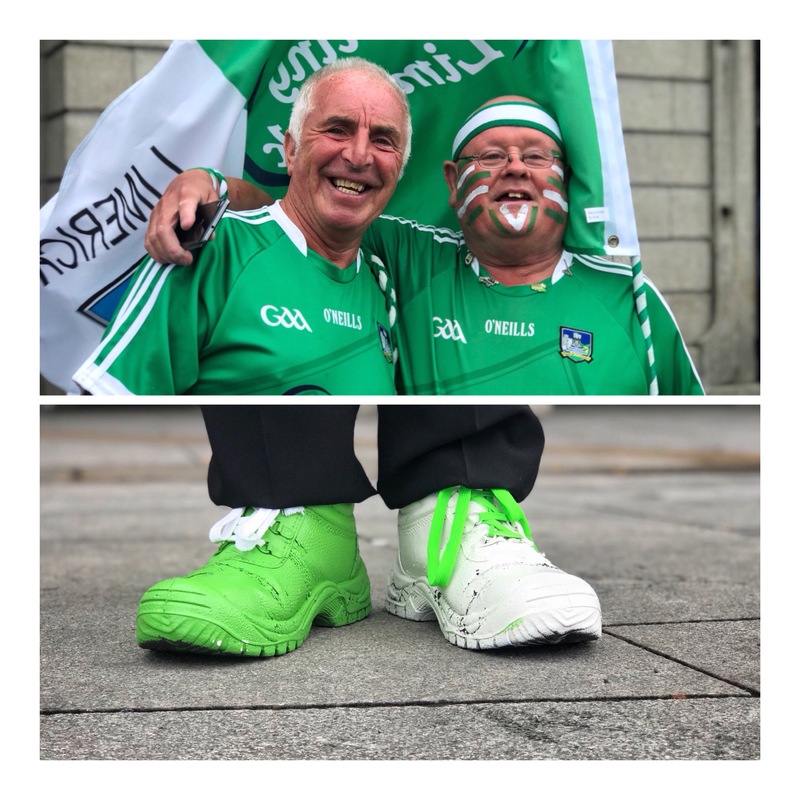 The Limerick crowd in Croke Park sense it. Cork cannot get a hold of the game. 1 minute over the regulation 70 and Aaron Gillane pulls Limerick level. The score stands at 1-26 a piece. Anthony Nash pucks out. 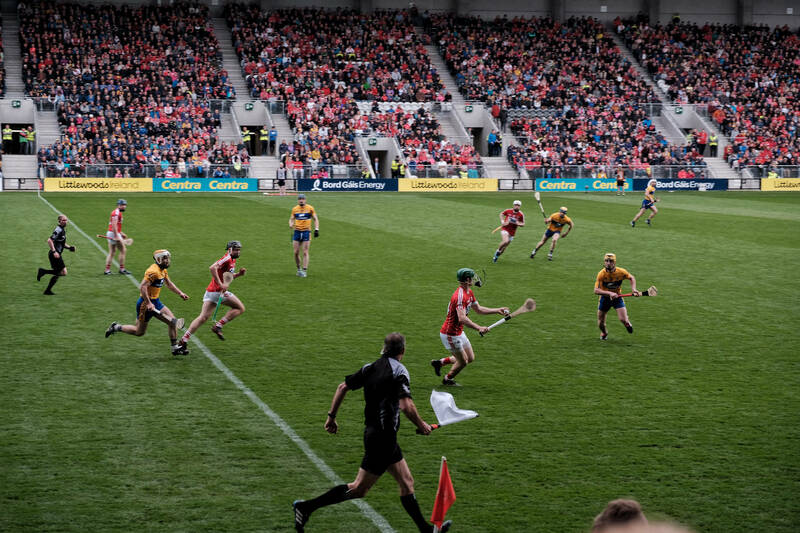 Cork’s Robbie O’ Flynn fields the ball and turns. 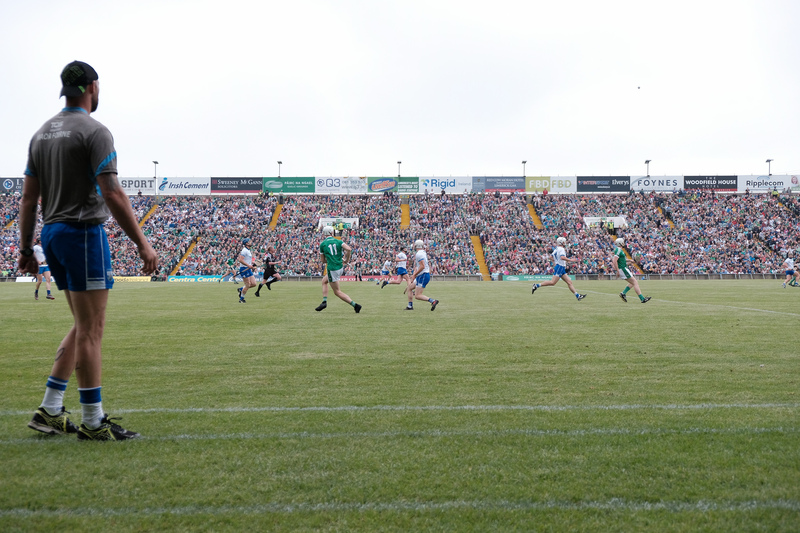 Racing towards the Limerick goal he sees his captain, Seamus Harnedy calling for the ball. A hand pass in and Harnedy has to jump to control it, but he has the ball in his hand. 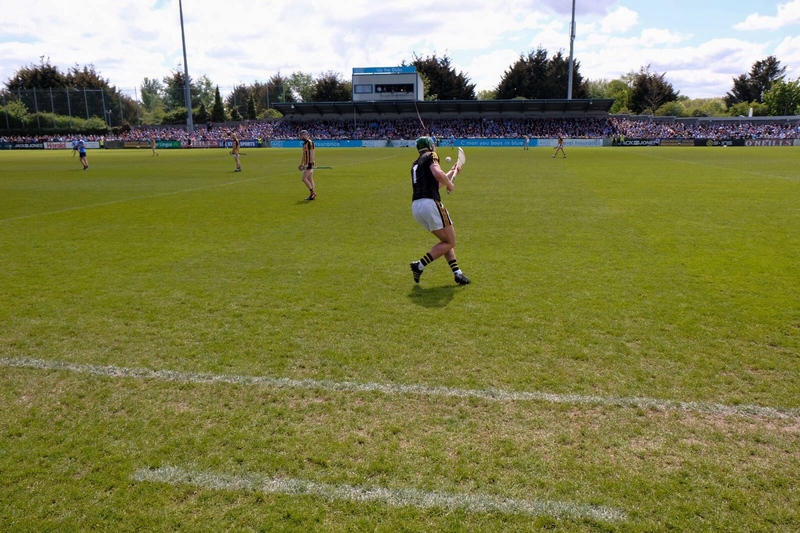 He takes two steps and readies himself to strike the ball home and put the game beyond Limerick. Three Limerick players line the goal. The ball leaves Harnedy’s hand and he pulls his hurley back to lash it. 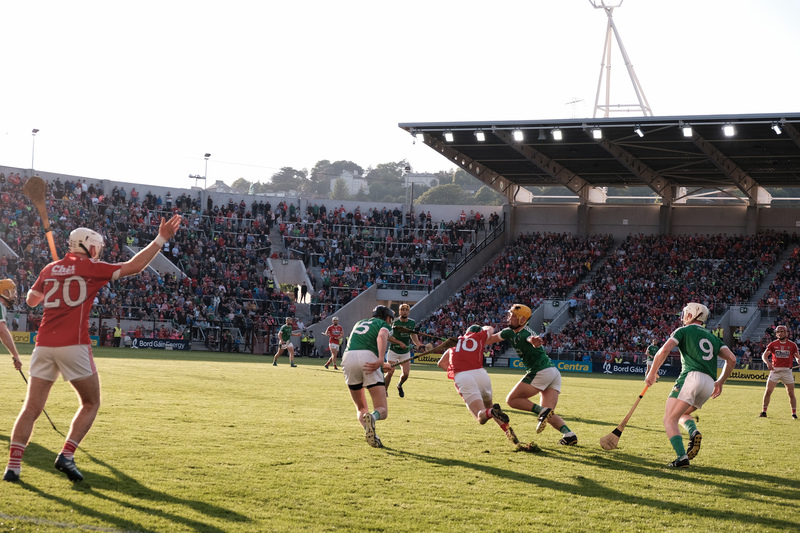 The sliotar seems to stop in time and space and another hurley, that of Limerick’s goalkeeper Nicki Quaid in flight, stretches across from the right of the goal across Harnedy’s body and bats the sliotar away. Harnedy’s swing continues but there is no ball there to be met. The chance has gone. 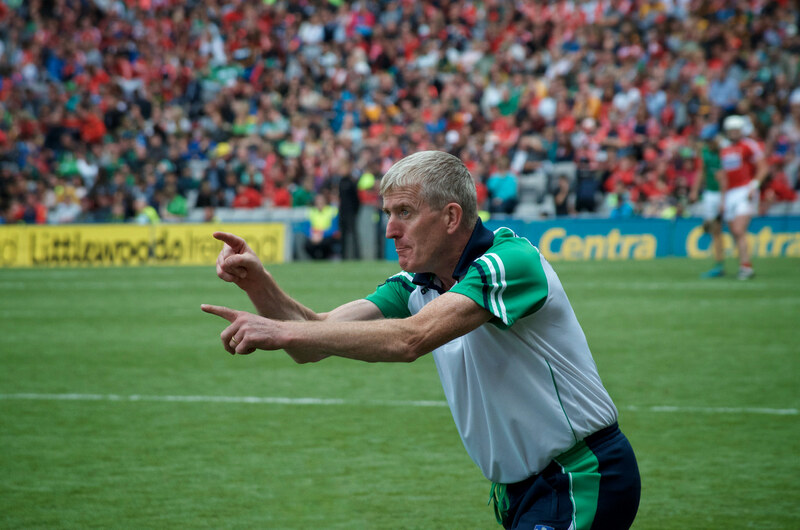 Limerick work the ball out and up the field to Pat Ryan. Damien Cahalane fouls him on the left-hand side of the square. 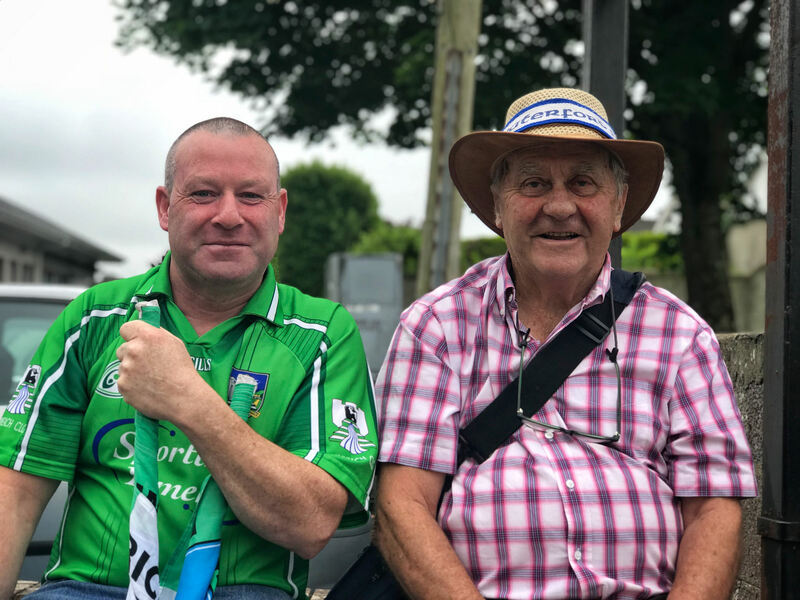 Limerick have an easy free in front of Hill 16. An easy free to go 1 point up in the final minute of added on time. The dream looks dead. Aaron Gillane taps it over. 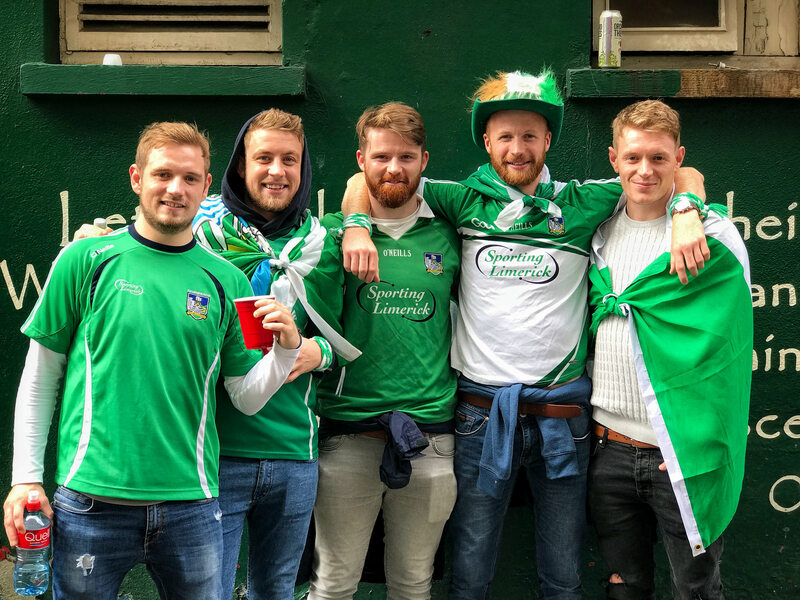 Limerick lead by a point and there is 73.10 on the clock. 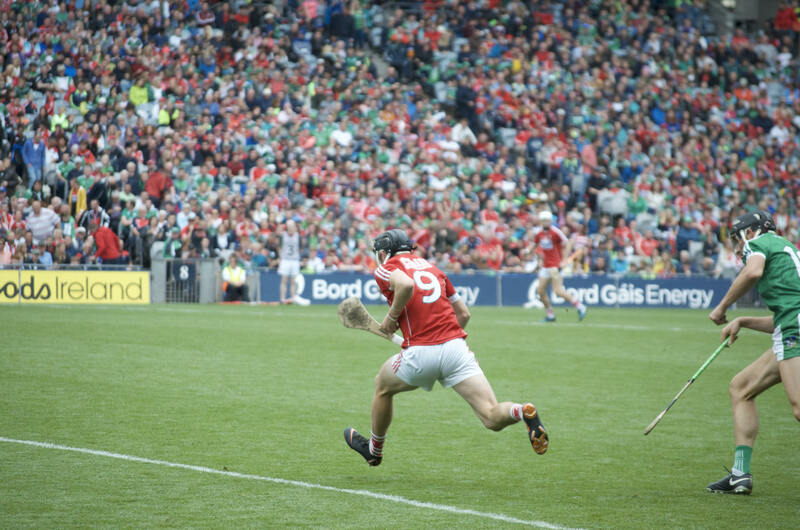 Nash knows his puck out will lead to the last chance for Cork to rescue the game. He pucks out. Lehane gathers the ball for Cork on the 70 yard line under the Cusack Stand. The referee sees a foul and Cork have a chance to level the game. Pat Horgan comes out. Stands over the ball. Stoops and rises and in one movement pops the ball over the bar. The teams are level again. And we head into extra time. For me, the two 10-minute periods of extra time had an inevitability about it. 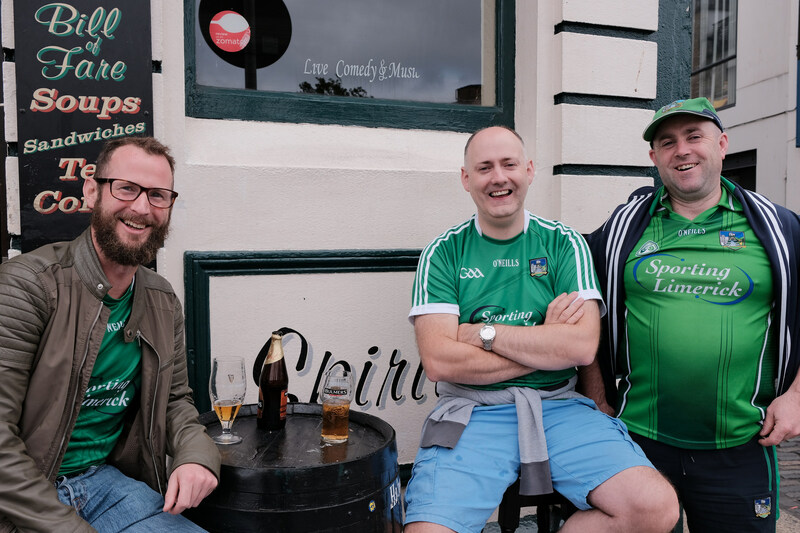 I felt Limerick would not be beaten. 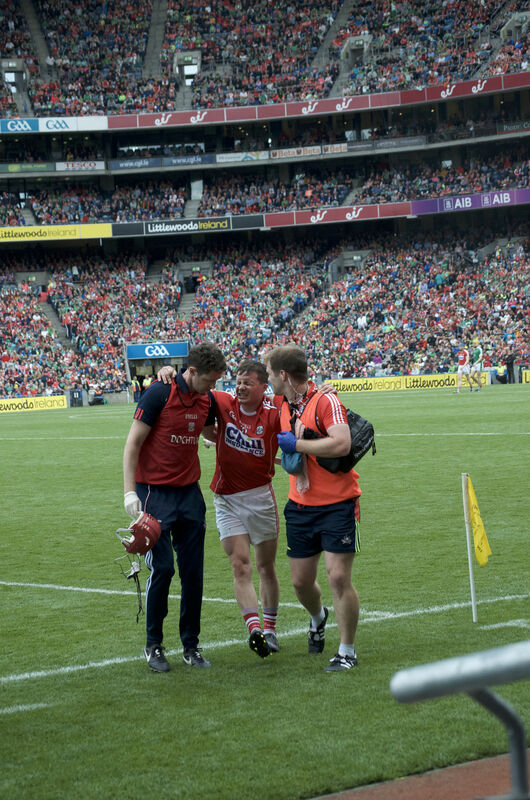 Cork had seen their best players go off injured. 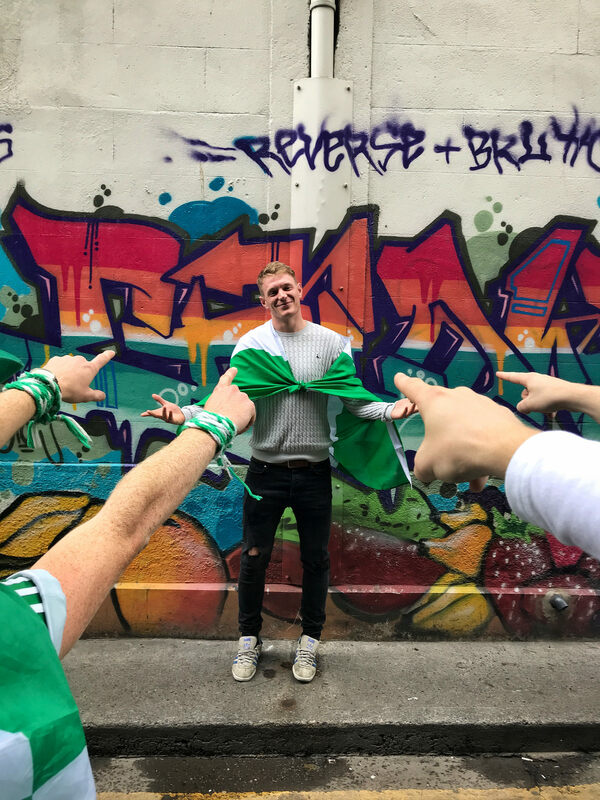 Limerick’s subs made a monstrous contribution. And it came to pass. 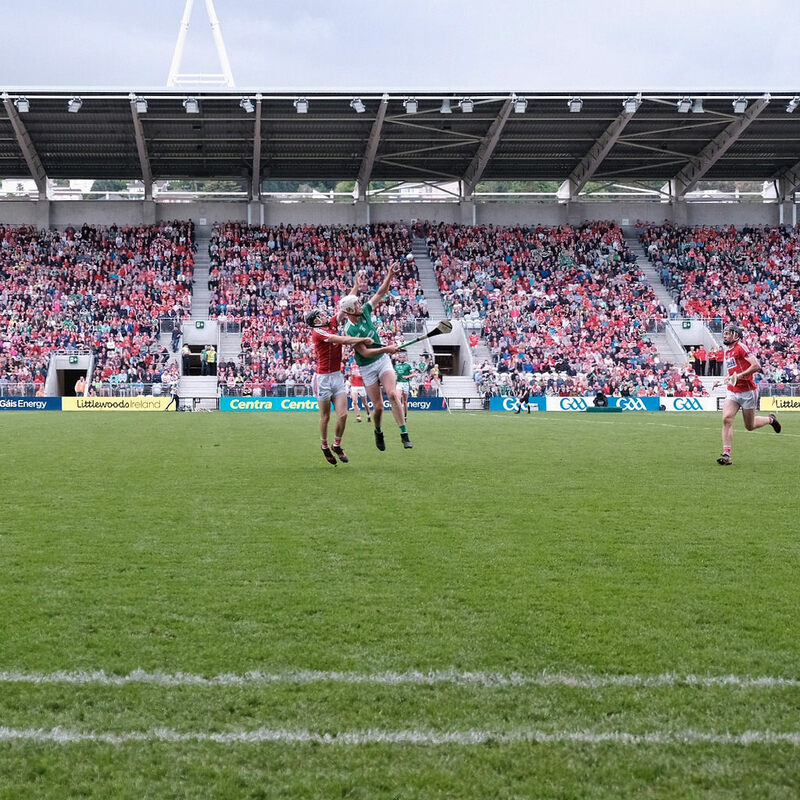 Limerick powered through Cork in the end and were fully deserving of their victory. 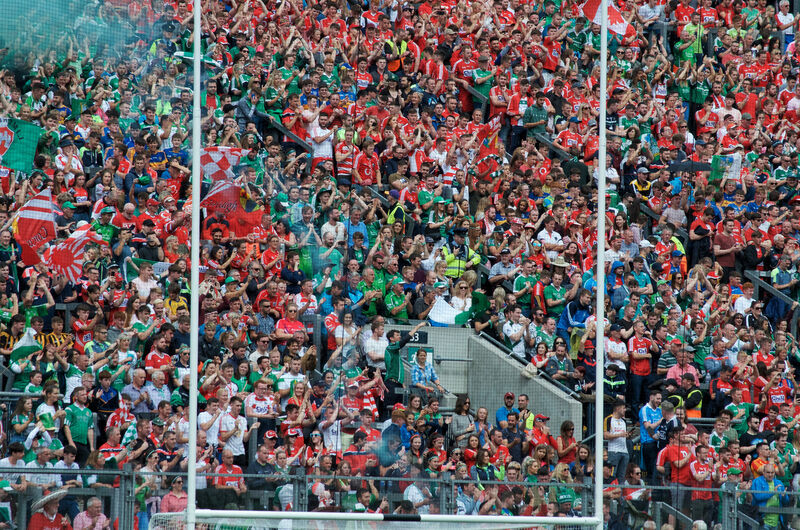 The hurlers of Limerick and Cork left everything they had on that sod of Croke Park. 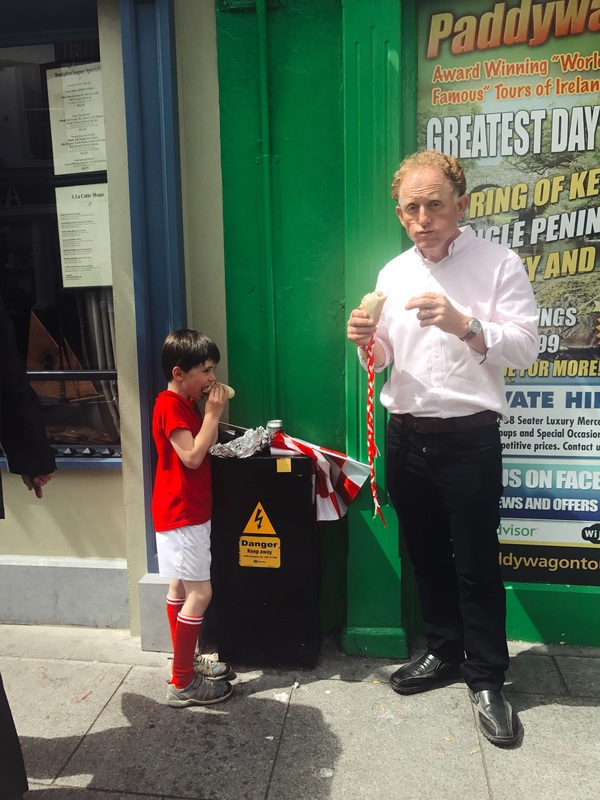 Cork left their tears too. 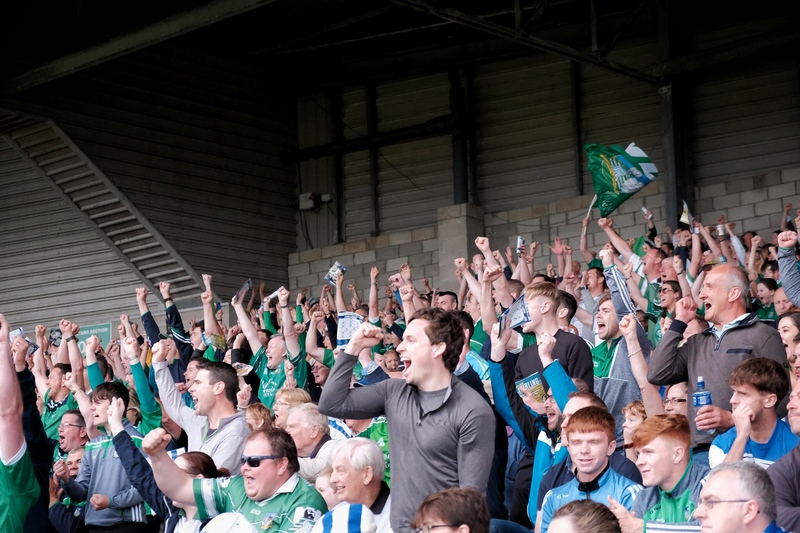 The roar of the Limerick crowd when the final whistle went is still echoing in the stands. 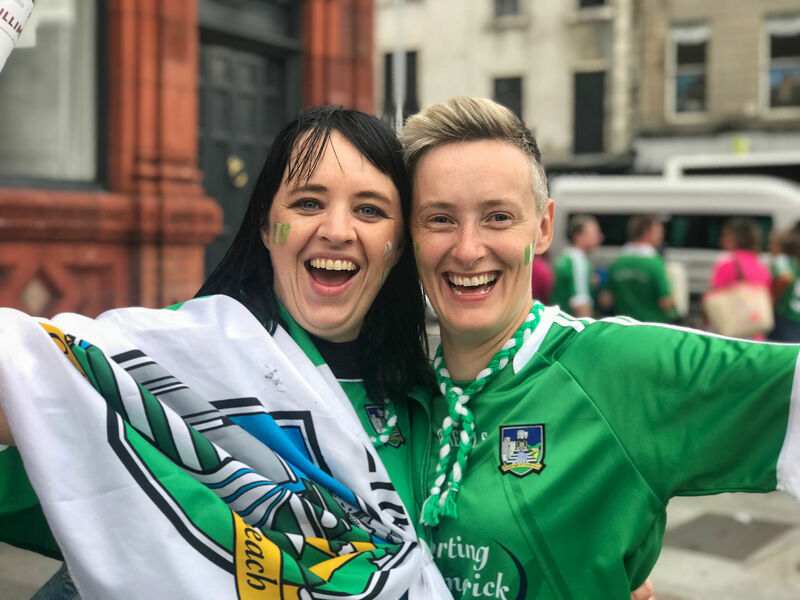 Limerick had every right to rejoice. Cork will have a lot of questions to mull over in the dark winter months ahead. 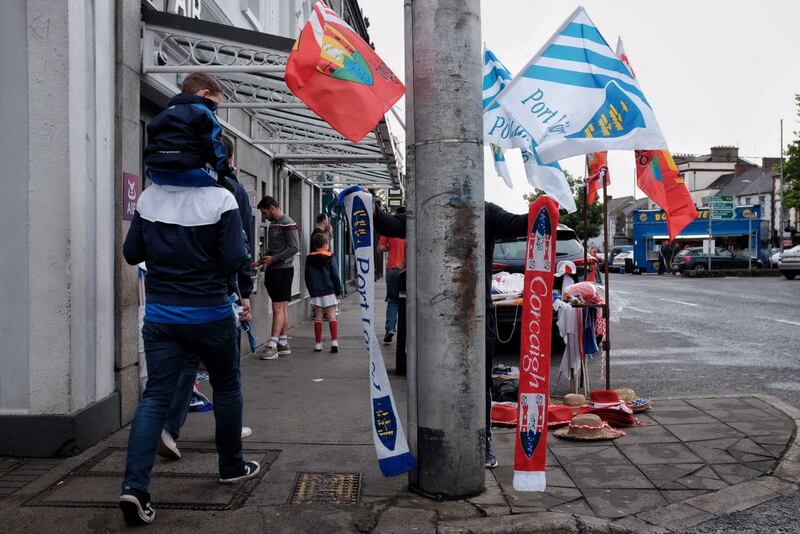 As Joe Cole, a Cork fan, said to me before the first Cork game of the championship: “‘Winter is sad until we get going again in summer.’ The summer of 2019 seems so distant now, but the dream goes on. 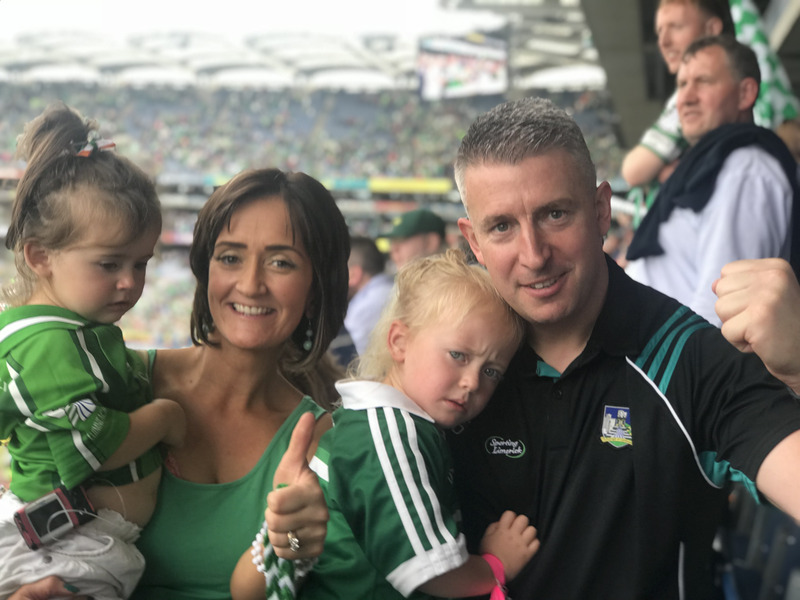 For Limerick, the dream is alive. In a little over two weeks they will come to Croke Park again. This time they will play for the biggest prize in hurling. I believe they will win it. Sunday’s match was not the easiest for me. First there was the rain. A lot of rain. Not what you want when you were are not dressed appropriately for it and not what you want when you want to stop and engage with fans on their way to the game. At the best of times, stopping fans on their way to the stadiums is not the easiest of things to do. Usually there is a convoy of people making their way along the footpath or road to the game. Stopping them can result in holding up those coming behind. In fairness, the people I have met have all been so patient and supportive. Sunday was a little trickier. The rain was bucketing down for a good hour before the match. I didn’t feel comfortable stopping people in the rain to get their photographs. “I used to go to all the games. I’m De Chief. 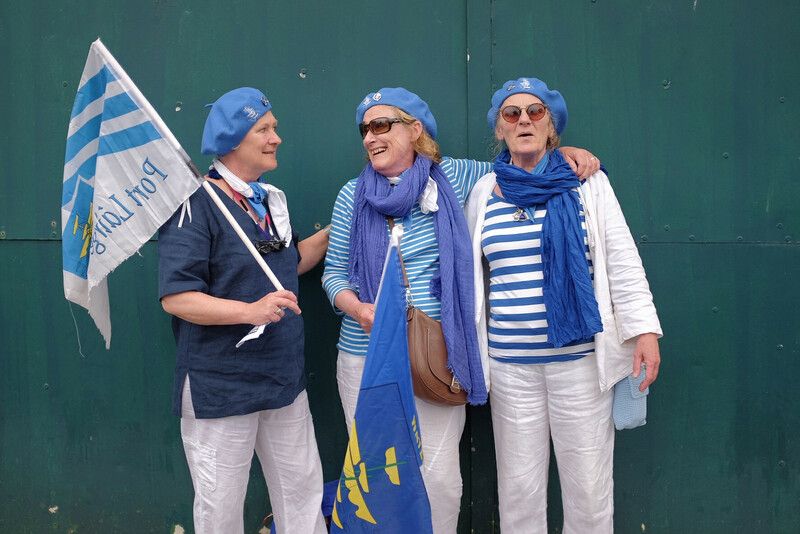 I used to have an Indian headdress.” “I’m not going to the match today. I just came up for the atmosphere. 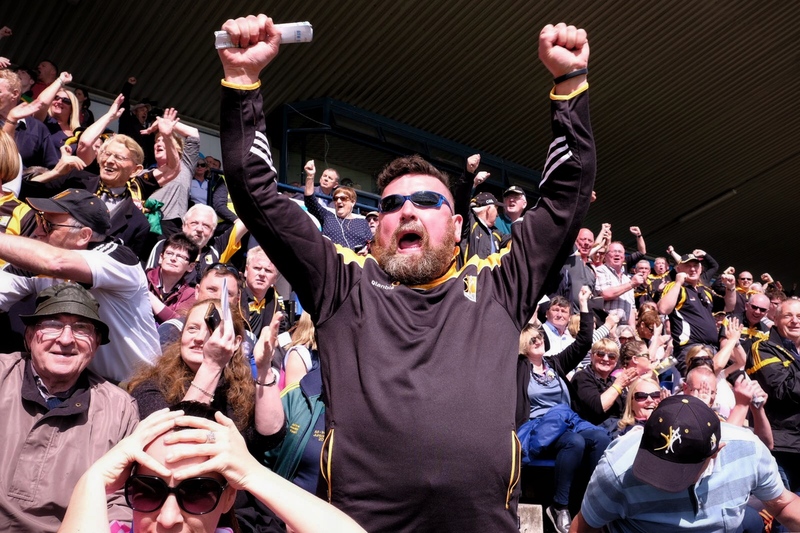 I’ll watch it with some buddies in The Shakespeare.” Cork super fan Ger ‘De Chief’ Feehan. 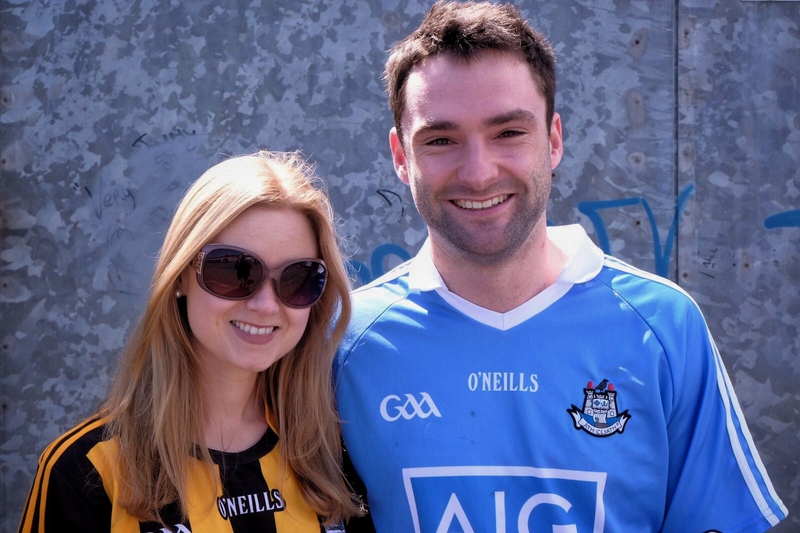 These two neighbours go to all the matches together. “Pa loves to dress up and sure why not. He looks great. Look at those shoes.” Liam Goodwin told me. 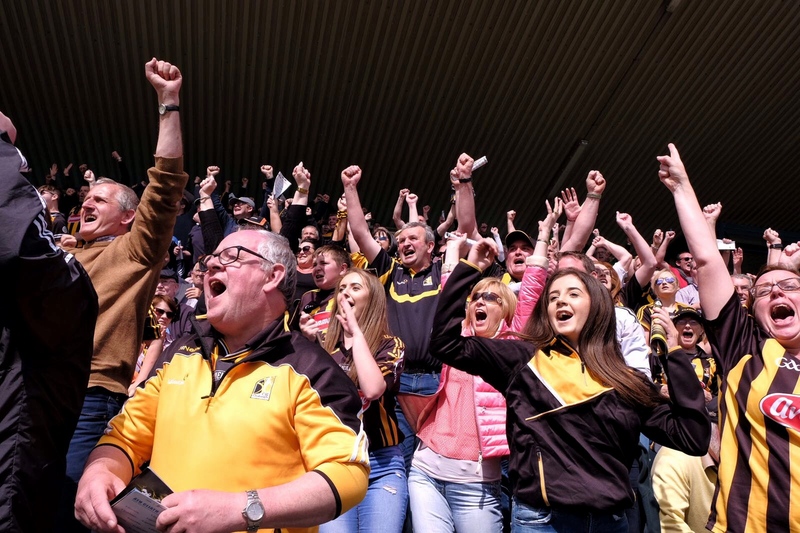 “Beating Kilkenny was like winning the lottery for me. Better! Everything is possible now. 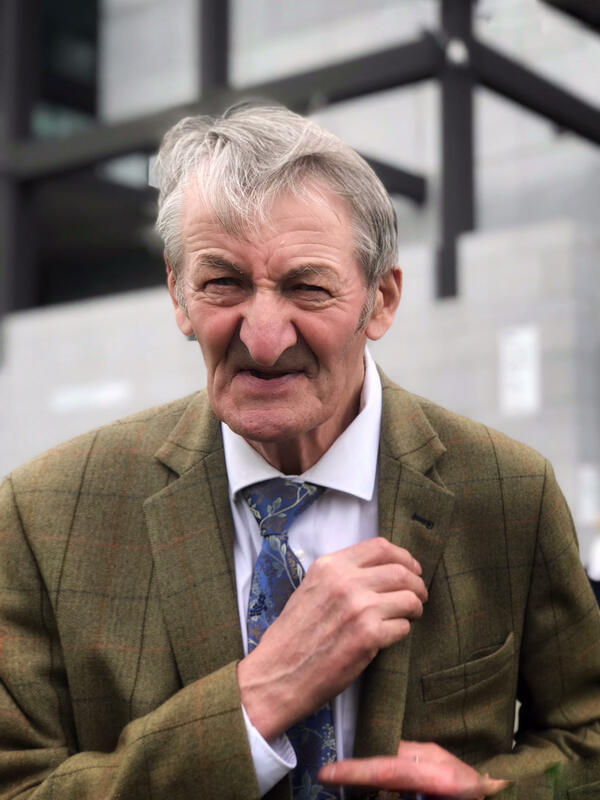 We got them off our back.” Pa Buckley said. “I just live five minutes away. Ya, it’s great. 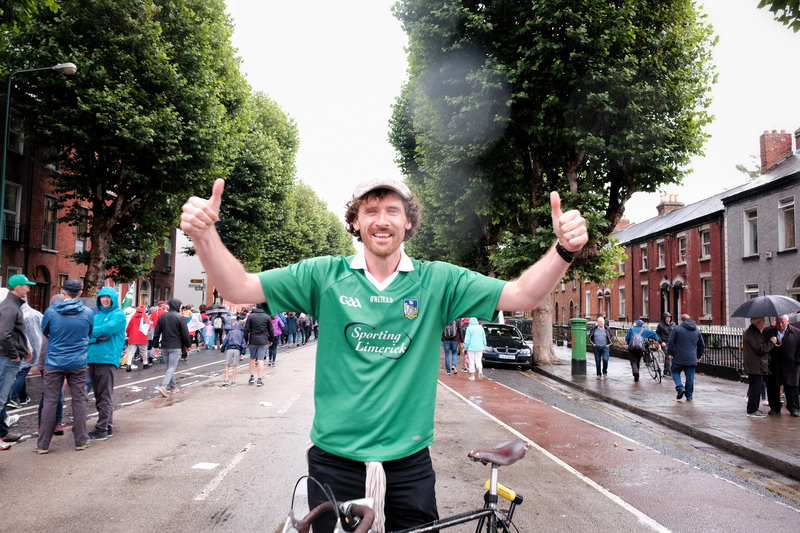 I get discounted tickets and I can cycle to the games.” “Can we make the story that you cycled up from Limerick? I asked. “If you want to, ya. 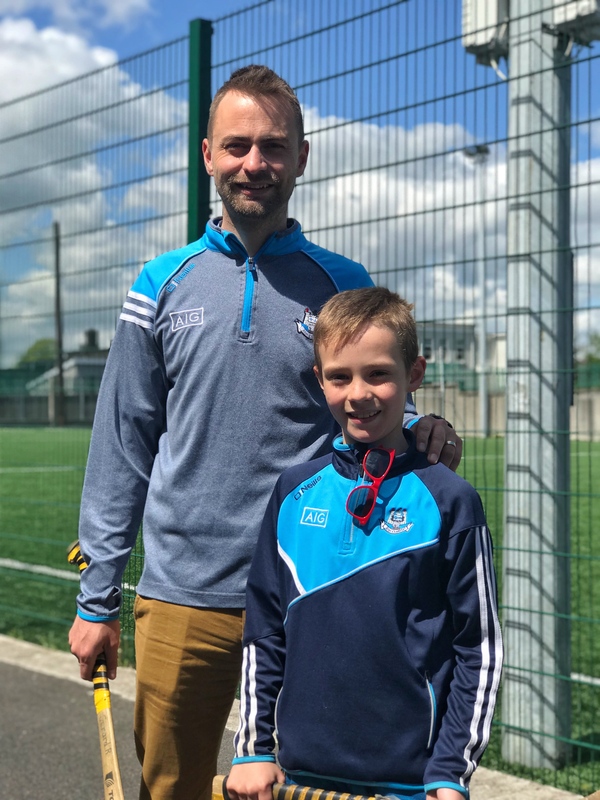 !” Local teacher Rob Griffin is a teacher who lives in the Croke Park area. 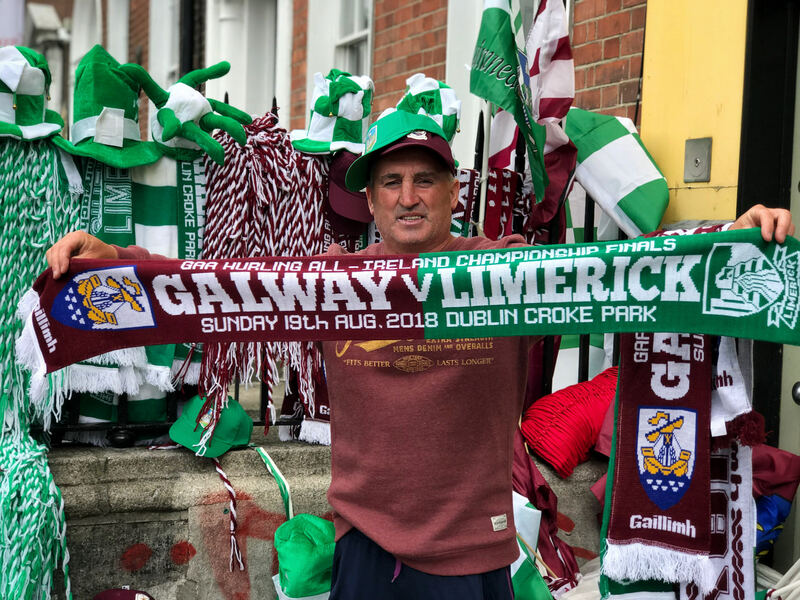 Limerick fans – No more about it! 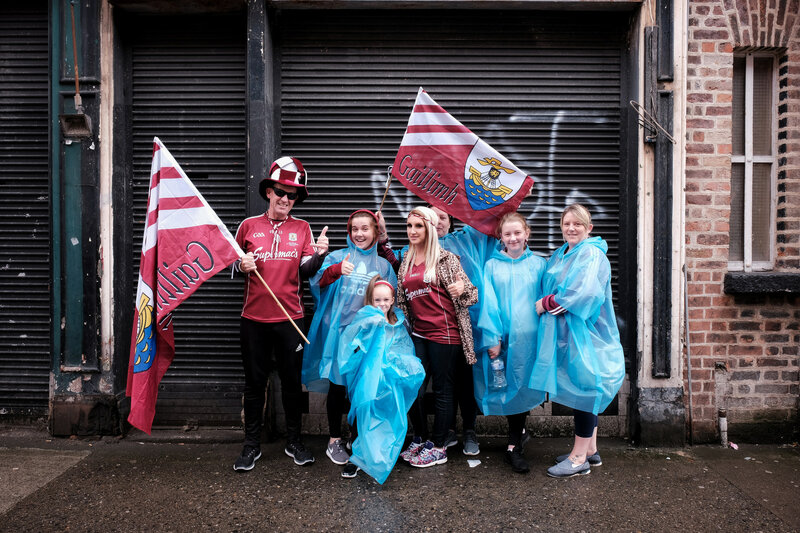 Throughout this project I have never hidden the fact that Cork hurling means everything to me. I am not impartial in any way. 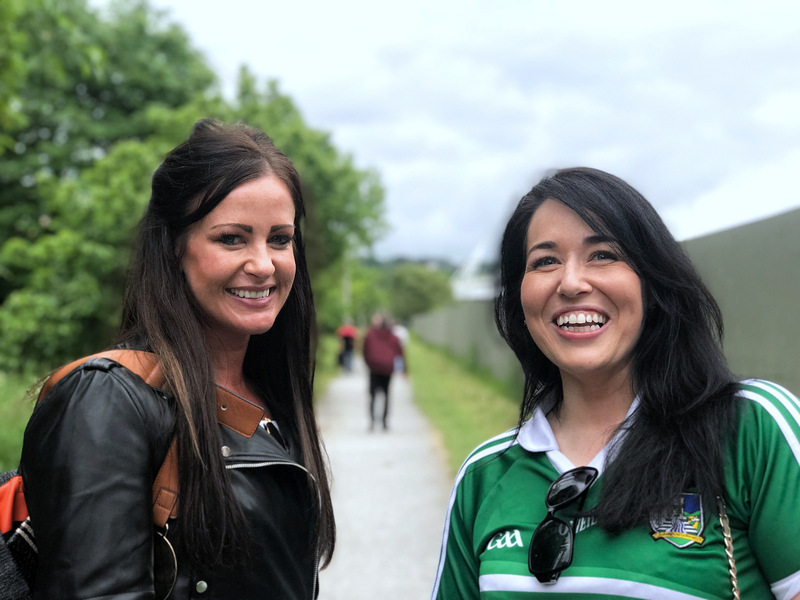 I admire and respect all counties and am happy for the wonderful Limerick fans I have met on the way. 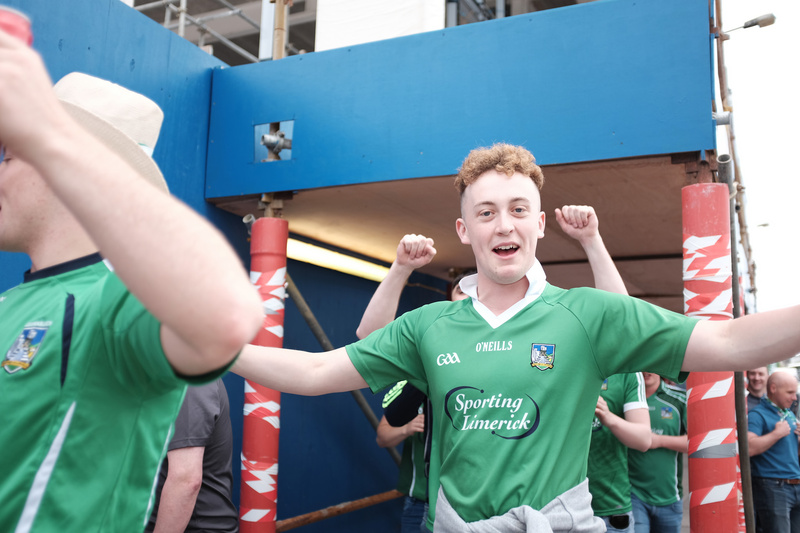 When I was in the tunnel of the Gaelic Grounds in June I loved that they had murals depicting the greats of Limerick hurling down the years, but it really struck me that it was so long since they had won an All-Ireland. 45 years. 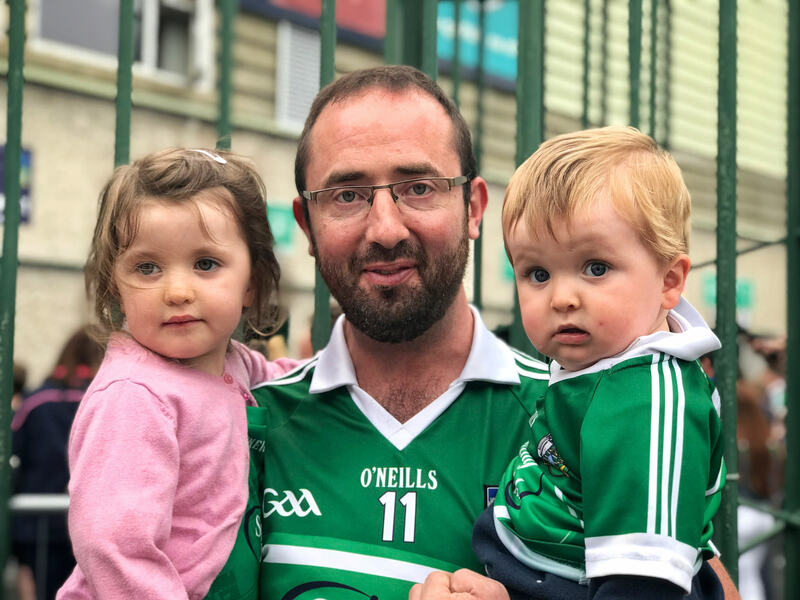 Many fine Limerick teams and players have come and gone in that time and many times they got close to bringing Liam McCarthy Shannonside again, but didn’t. I have a feeling this is their year. I really hope that they have not peaked and that they can reach an even higher level in the final. 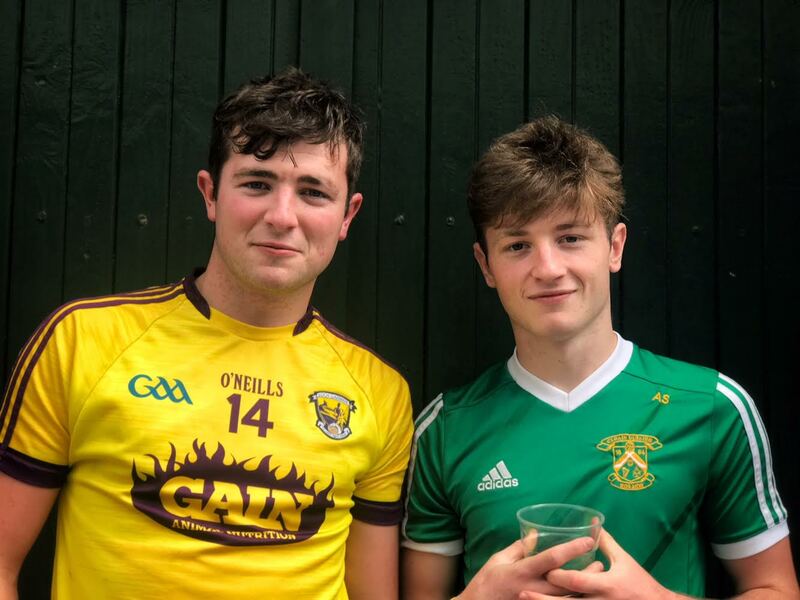 They play a great brand of hurling. 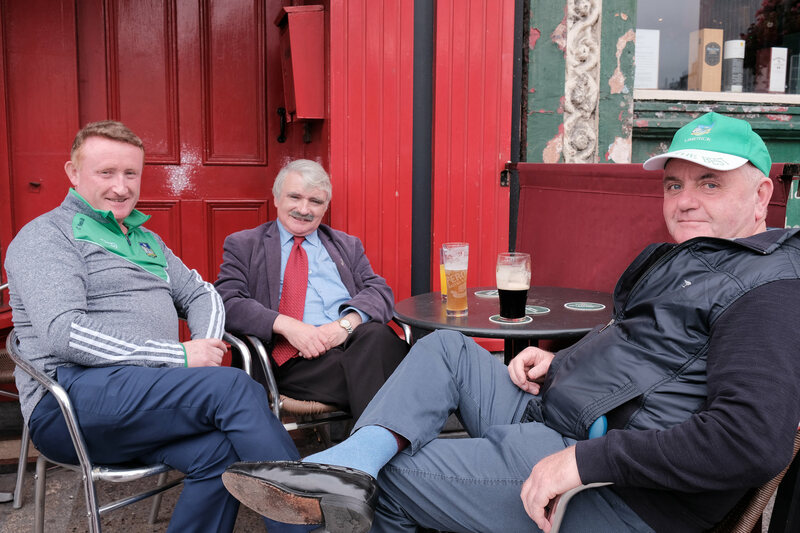 Dynamic, skilful and powerful hurling. 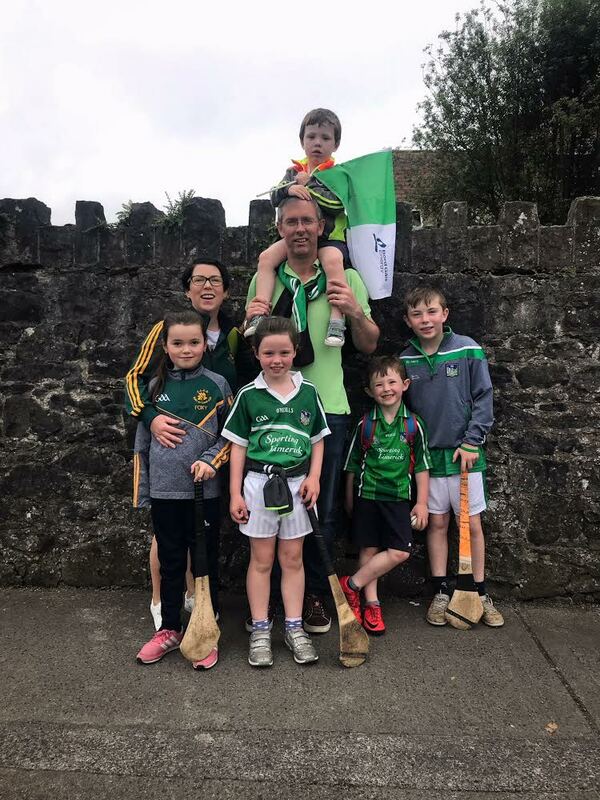 It would be great to go to the Gaelic Grounds in 2019 and see new murals on the tunnel walls of this young Limerick team with the Liam McCarthy trophy. I have loved following the rebels this year. There were some glorious days. Sure, last Sunday was a bitter disappointment, but I am immensely proud of the team and the management. They gave it all they had. 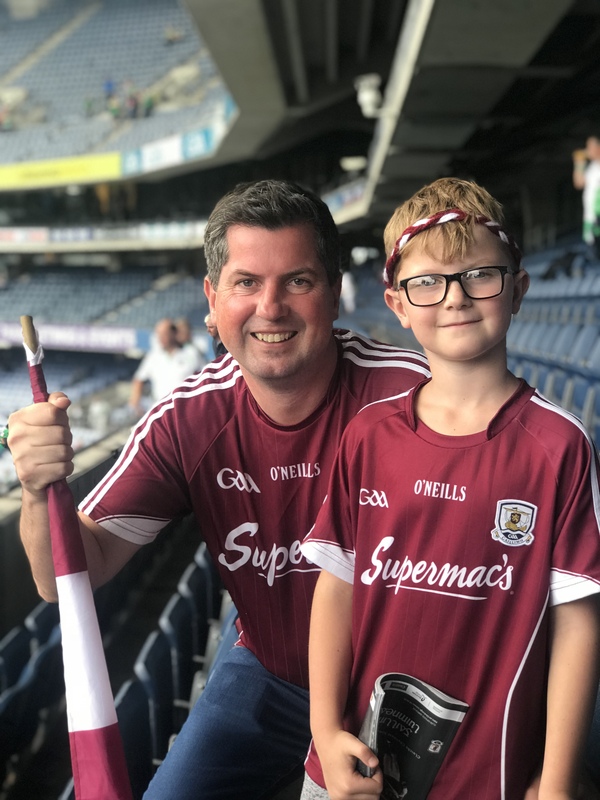 They played some blistering hurling along the way and while the manner of losing a 6-point lead on the home stretch will cause anguish, I am sure that will come back stronger, better for the experience. The dream lives on. Here’s to 2019. Here’s to number 31. Rebels Abú! 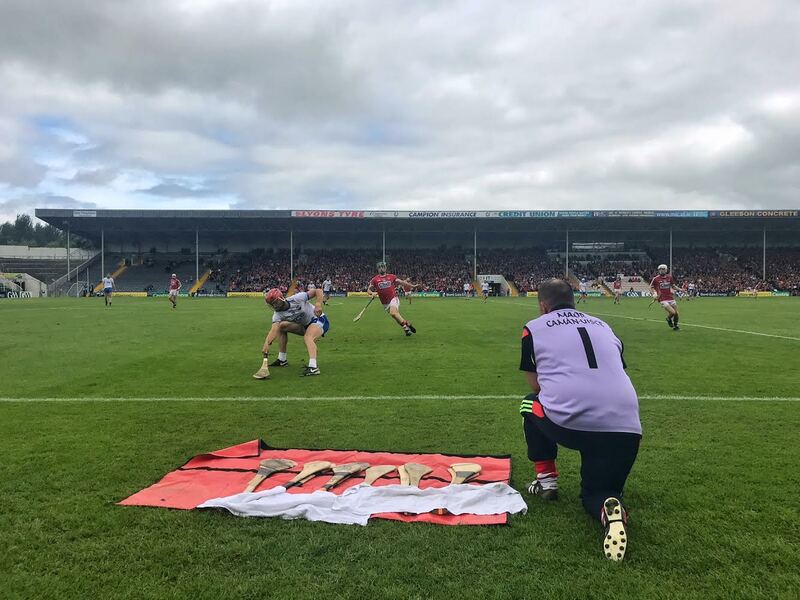 On this day last year, June 18, 2017, Waterford played their first game of the season against Cork in the Munster Hurling semi-final. 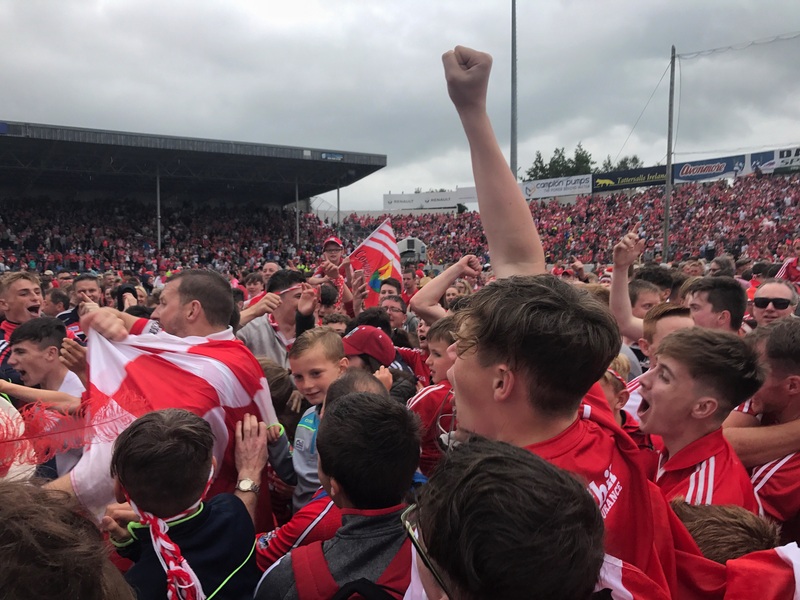 Cork beat Waterford by 5 points that day and sent them on the scenic route via the back door, as they call it, to another meeting with Cork in the All-Ireland semi-final on August 13. 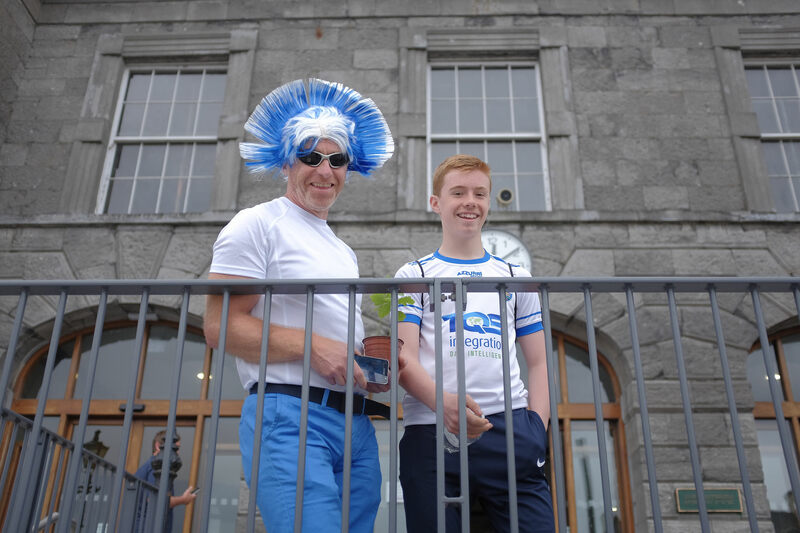 Waterford beat Cork that day and their summer of hurling extended into September and an All-Ireland final against Galway. 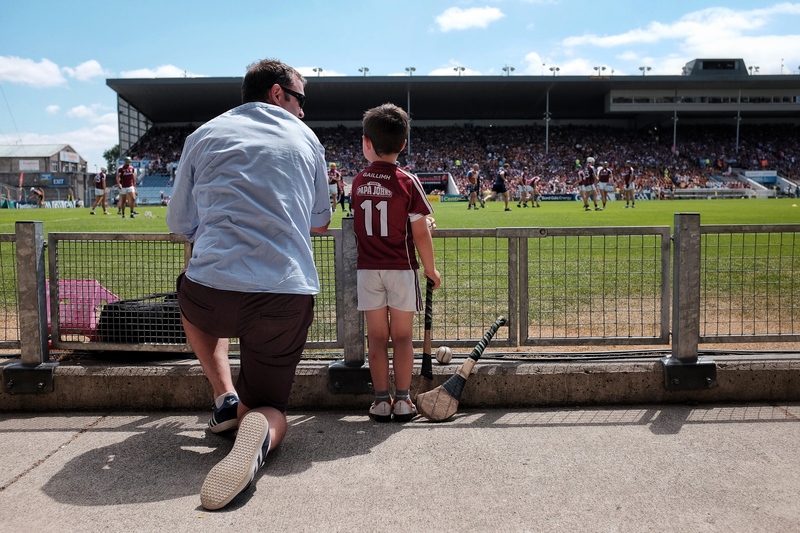 This year their summer of hurling ended yesterday, one day earlier than it had started the previous year. 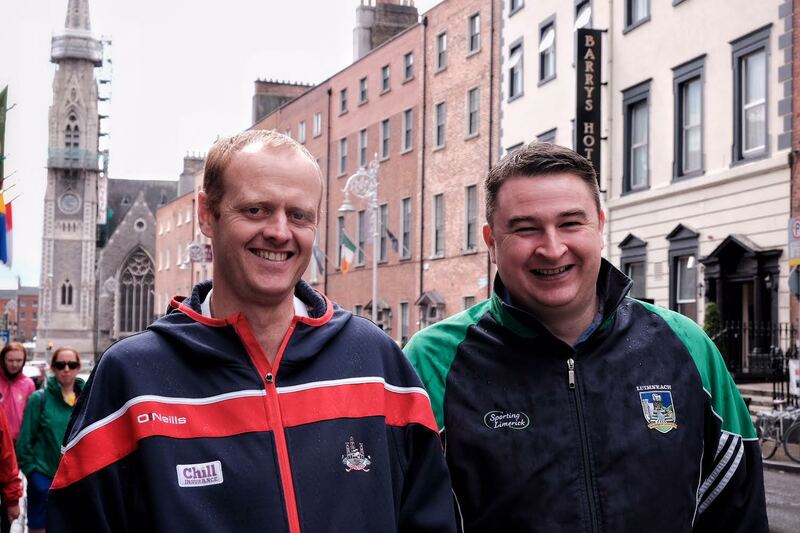 The new round robin for the provincial championships has provided some cracking games, but for the likes of Waterford, Tipp, Dublin and Offaly that is little consolation. 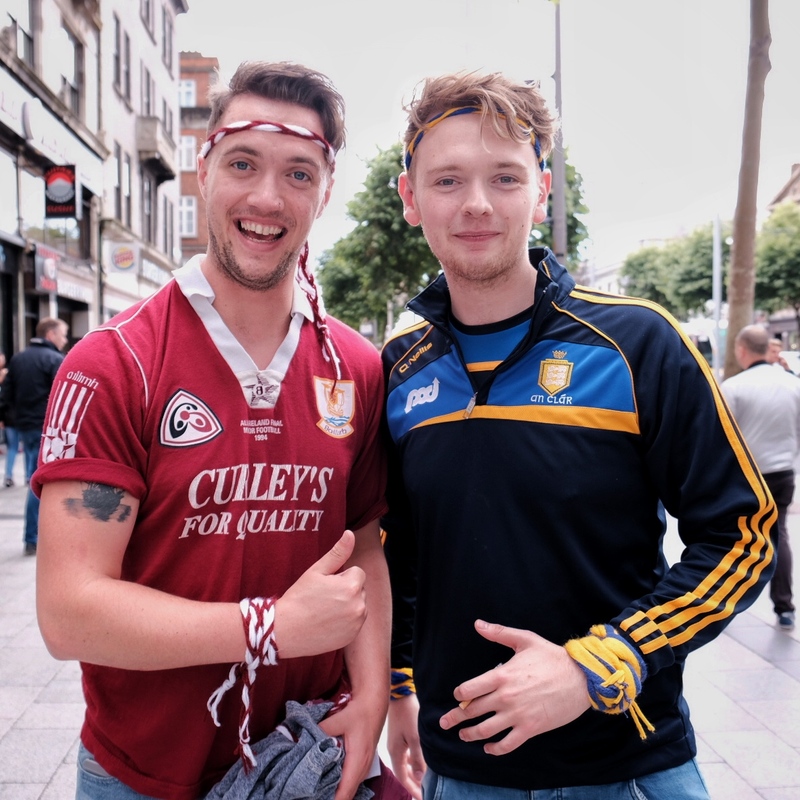 They want to be hurling. 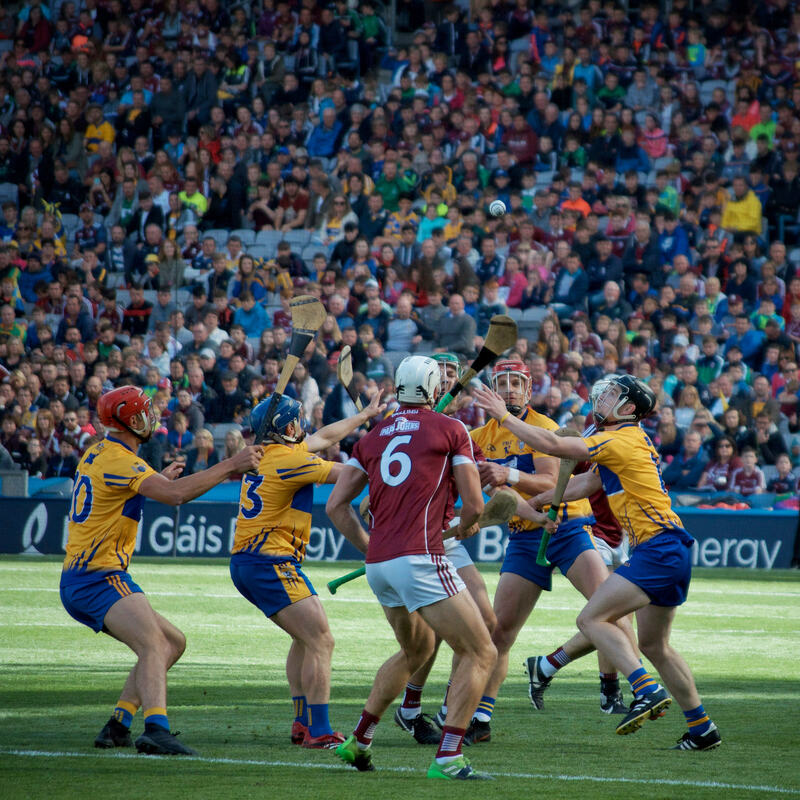 They want to be hurling when it matters. 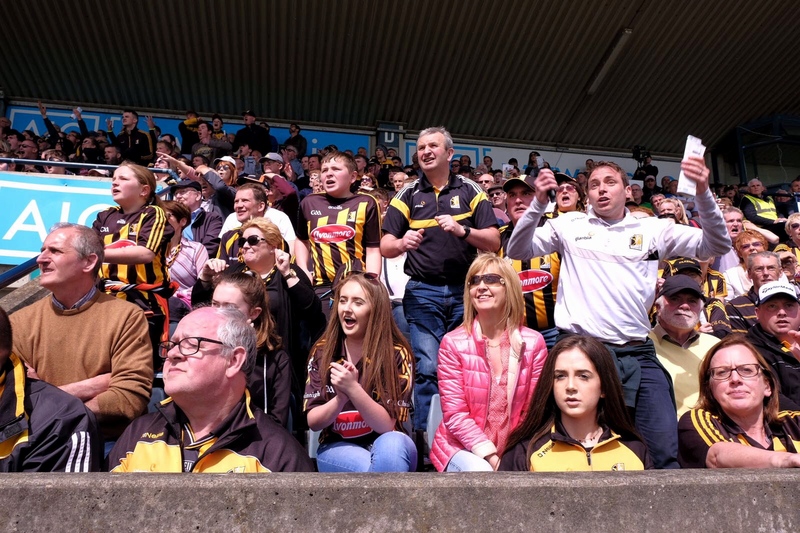 A long wait for them until championship 2019 starts in 11 months time. 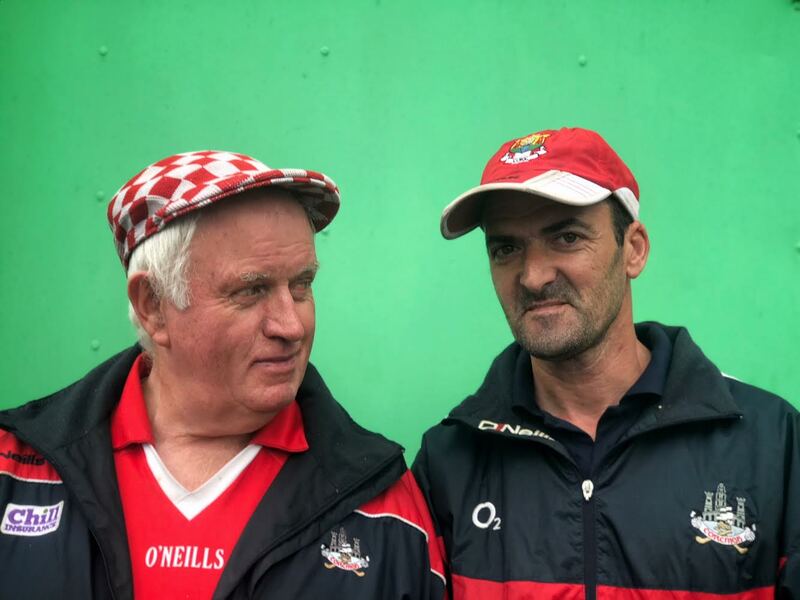 For Cork, they have 2 weeks to prepare for their fourth Munster Final in 6 years. 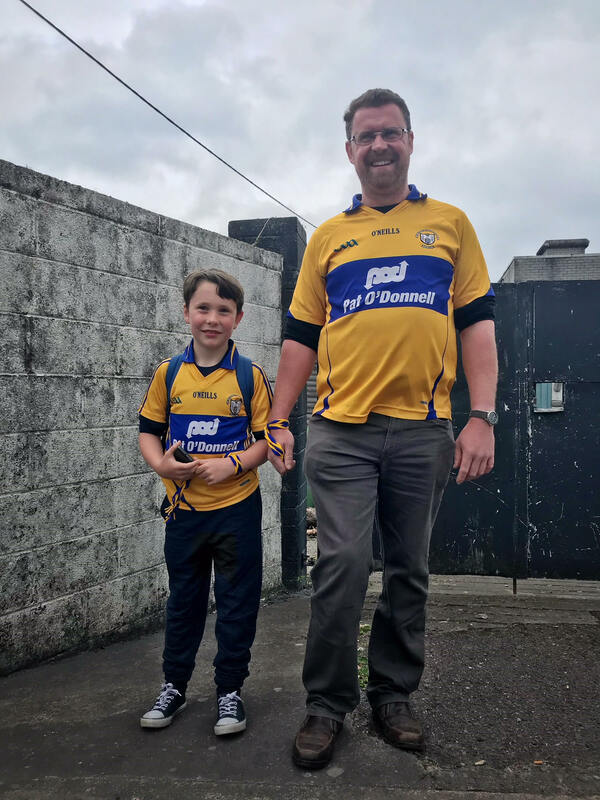 The second year running that Clare will be their opponents after their comprehensive victory over Limerick in Ennis yesterday. Is the ball over the line? 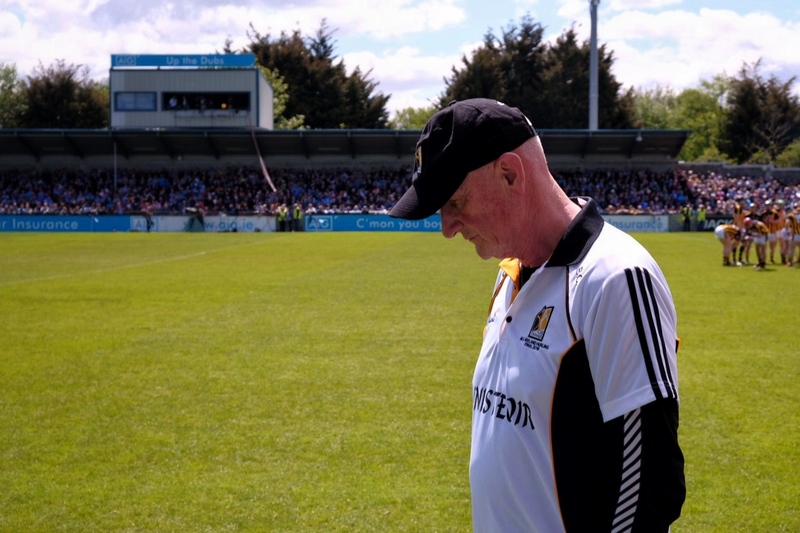 Thurles lacked something yesterday. The square did not have its usual atmosphere. 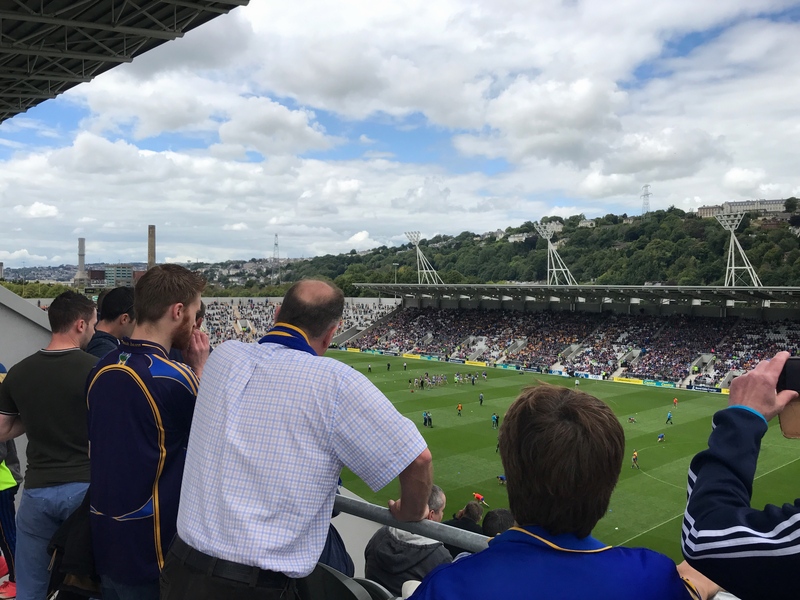 The Waterford fans did not travel in their numbers. 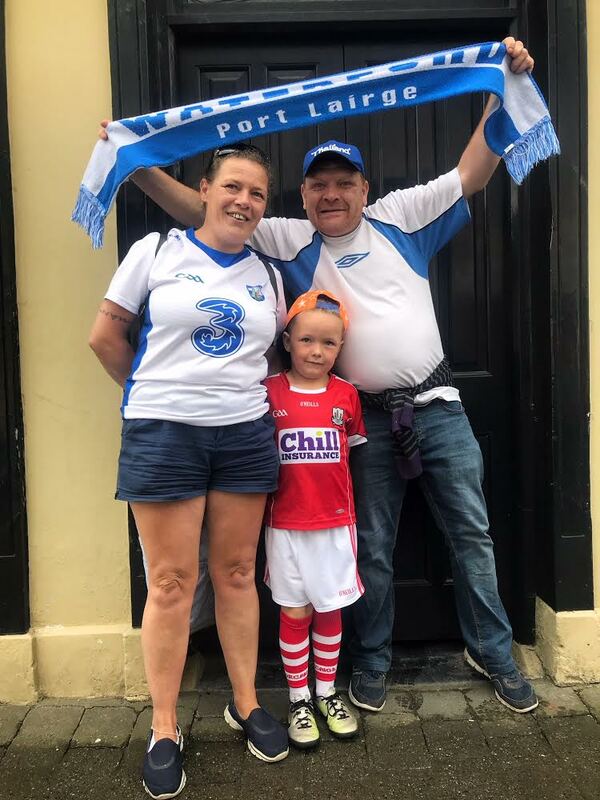 There was little blue and white to be seen in Semple Stadium, but that did not stop Waterford from putting it up to Cork. Cork appeared nervy, almost casual in their approach. 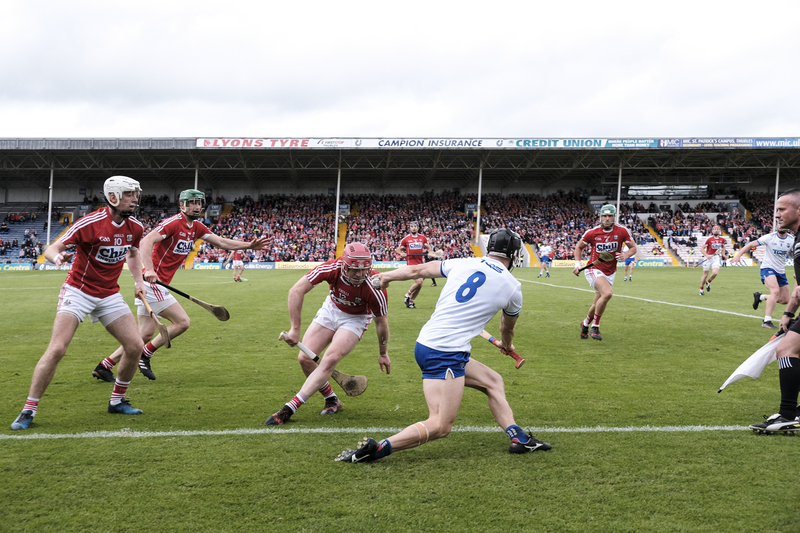 Their passing was sloppy and Waterford converted many of their turnovers into points before Cork eventually pulled themselves over the line thanks to their strong finish when they outscored Waterford by 1-4 to 2 points in the last ten minutes of the game. 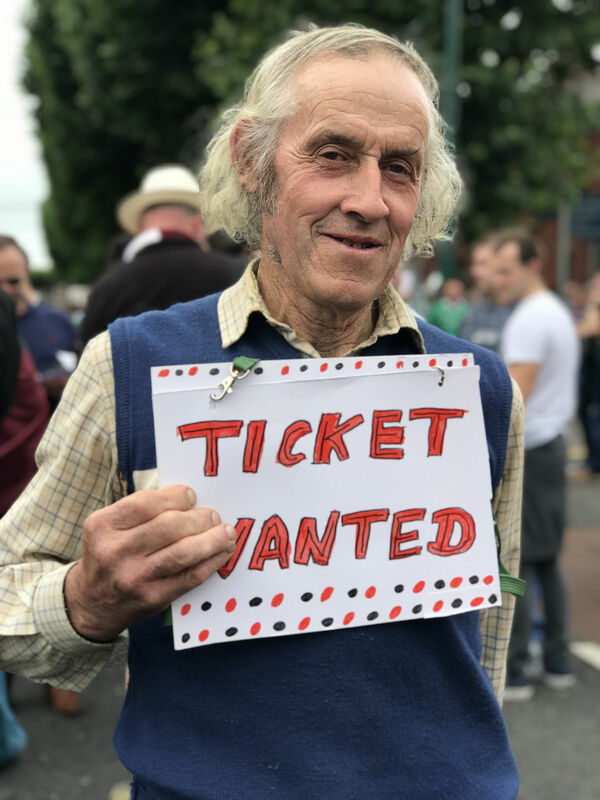 Cork will be happy in that they are in another Munster Final, but there must be lingering doubts. 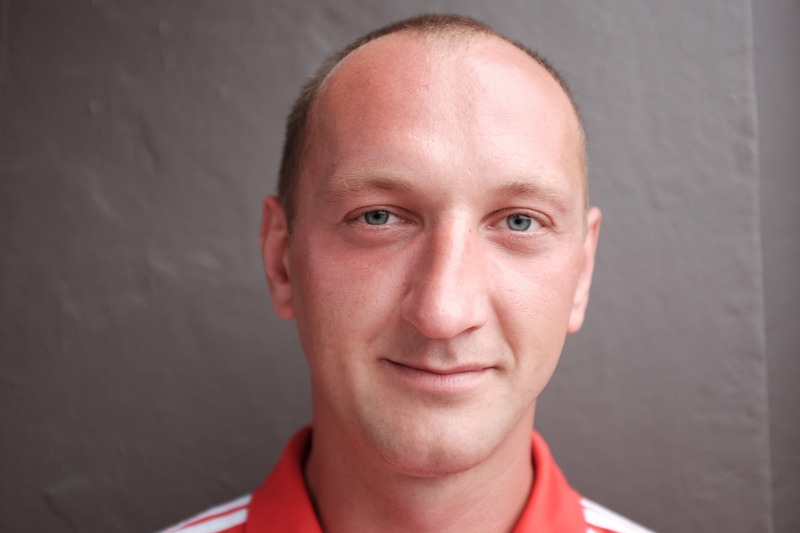 Have the team improved over the four round-robin matches? 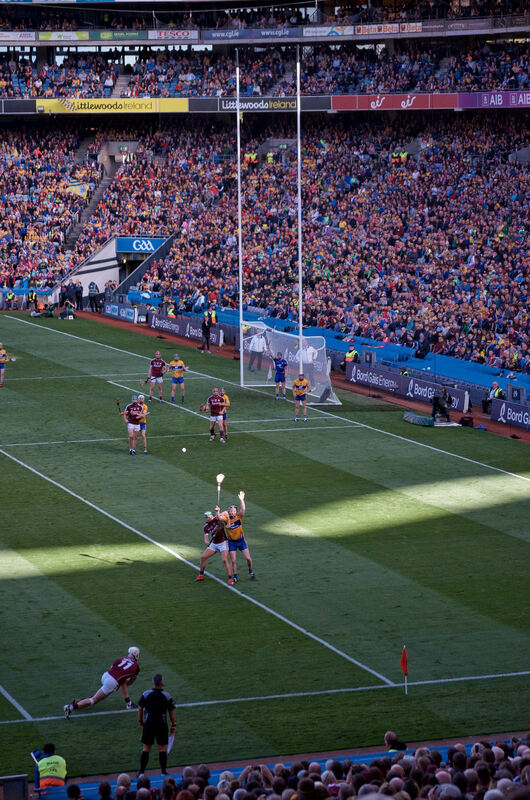 Their opponents Clare certainly have. 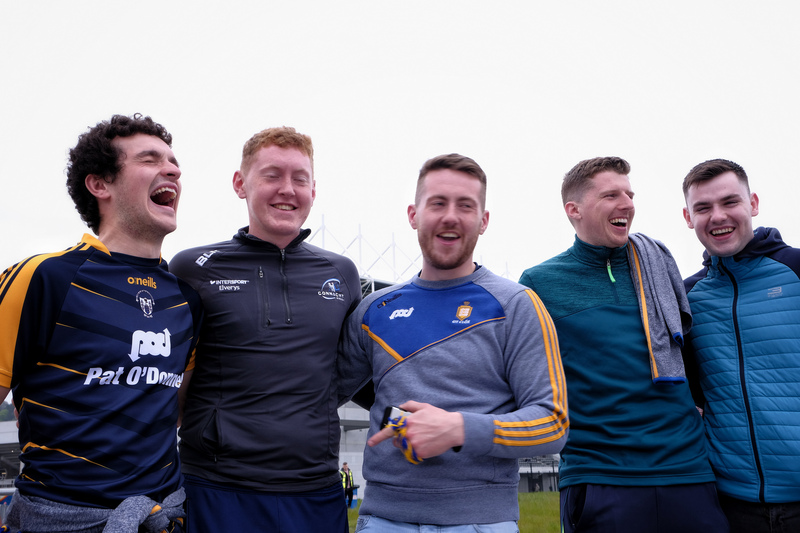 They will go into the Munster decider full of confidence after two big wins over Tipp and a very much-fancied Limerick side. 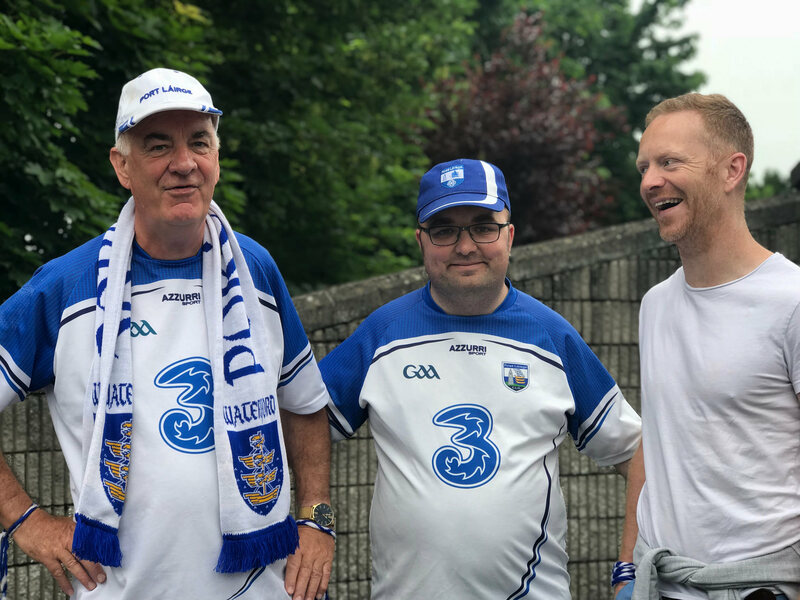 “We used have him supporting Waterford, but we can’t change his mind now. He’s all Cork now. ” Myles Tobin told me. “He loves Conor Lehane. He’s his favourite player.” “We tried our best, believe me. said his mother Laura. 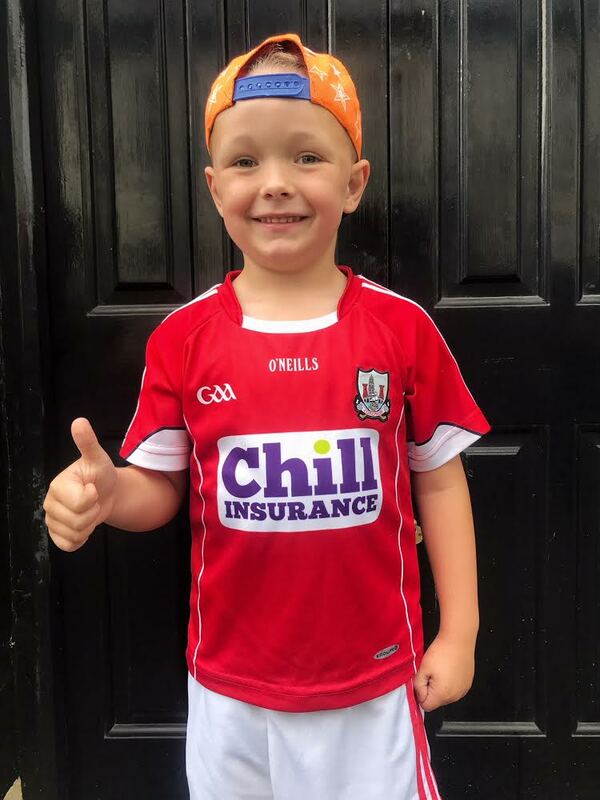 Little Shay is a proud Corkman now. 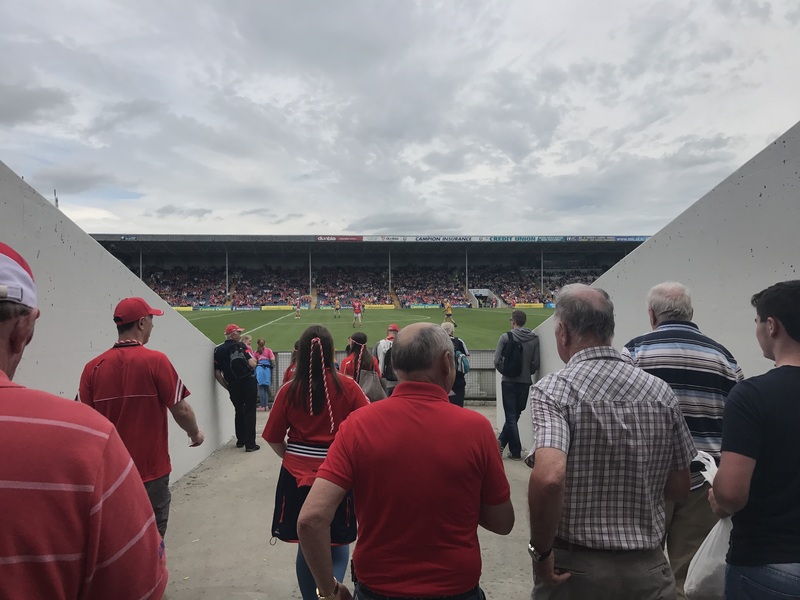 Over the past five weeks I have been to 9 hurling matches and I can say without a doubt the ones I enjoyed the most were the ones that Cork were not playing in. It is just too nerve-wracking watching your own. You live and breathe every puck of the game. I get so caught up in it all, and I suffer! 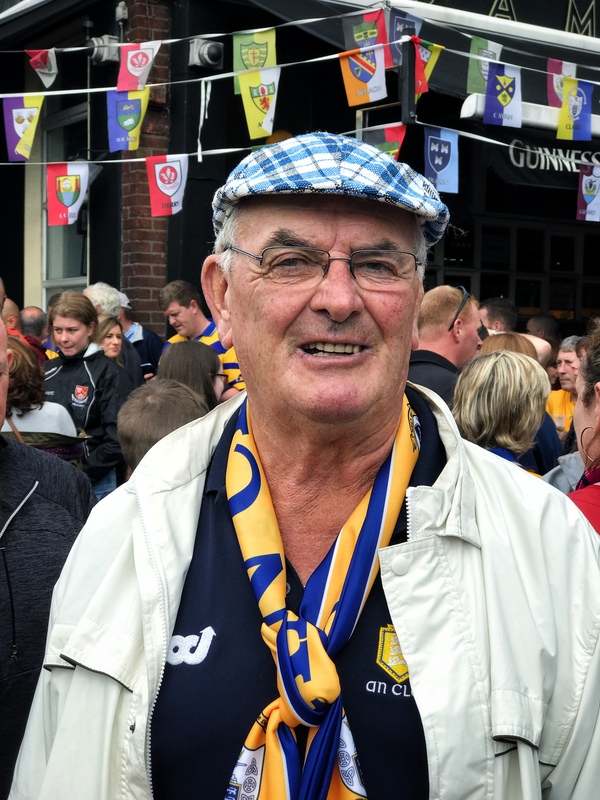 “You can enjoy the games your own county are playing in much more.” JJ Darmody from Wexford told me. I have to agree with him. 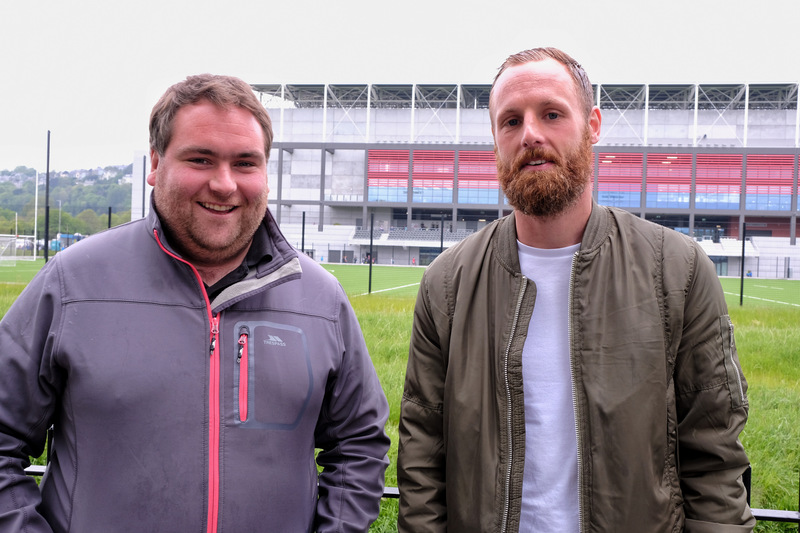 JJ was there with his Limerick workmate Rory Darmody (no relation). 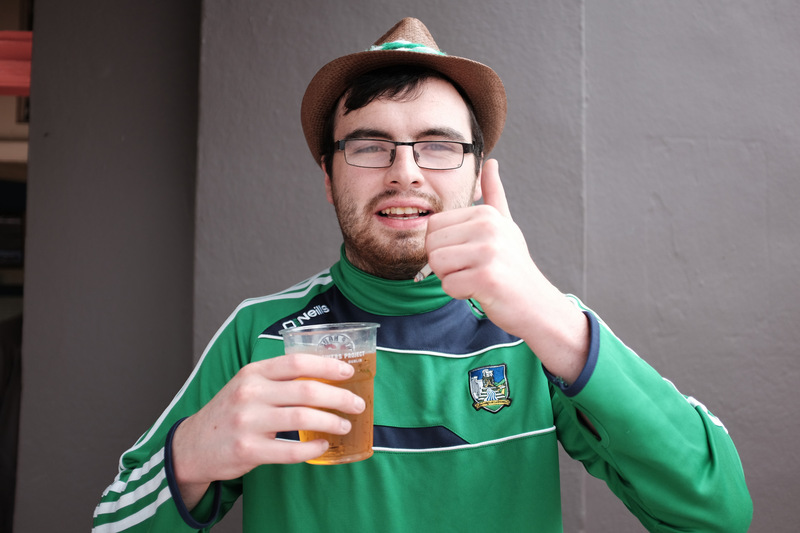 “Why didn’t you go to Ennis to watch Limerick? I asked. “Couldn’t get tickets. 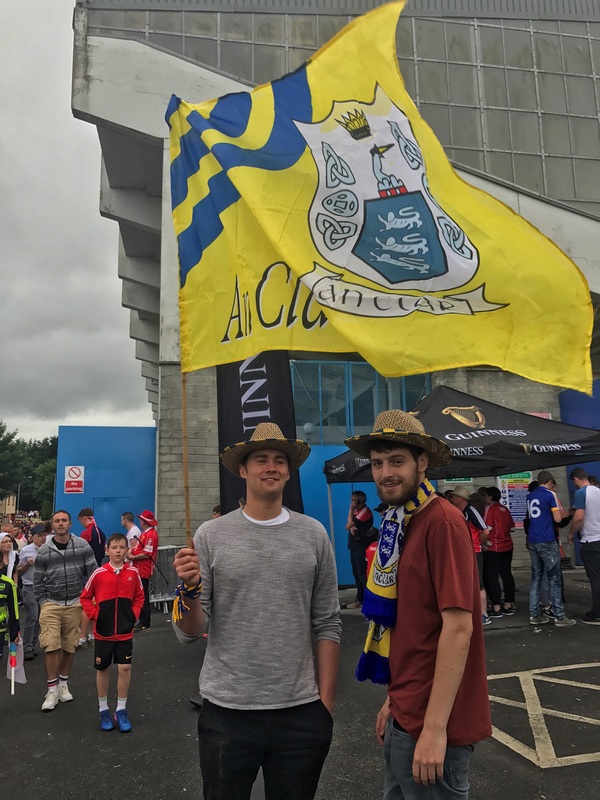 So we came to Thurles to see this match. 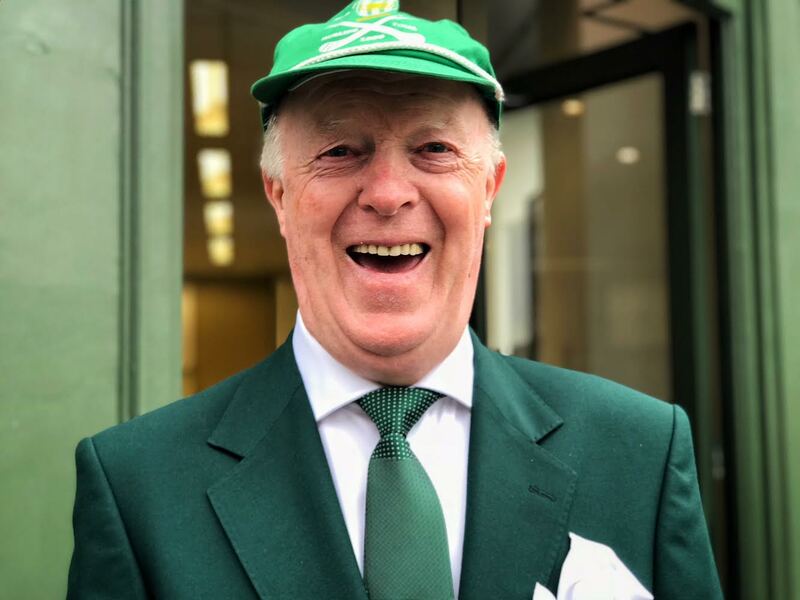 That and a few pints.” Rory said. “Sure you know the answer to that question. 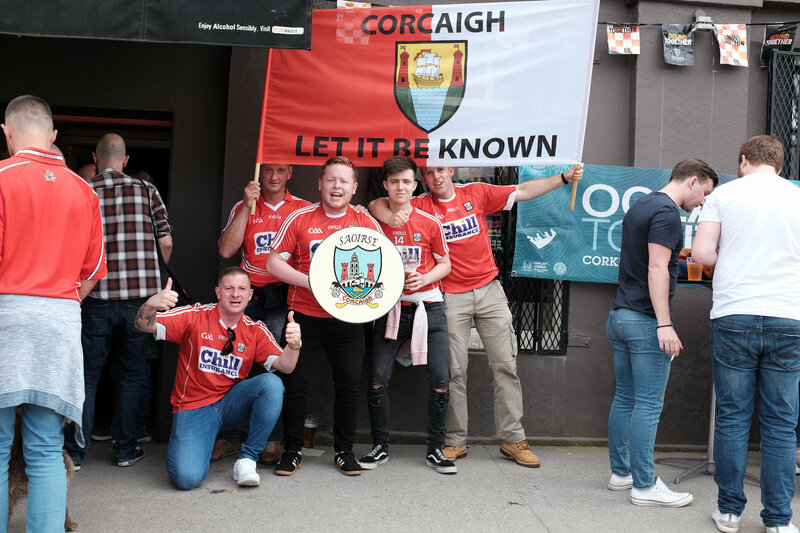 There’s only one team a Corkman dreams of beating. 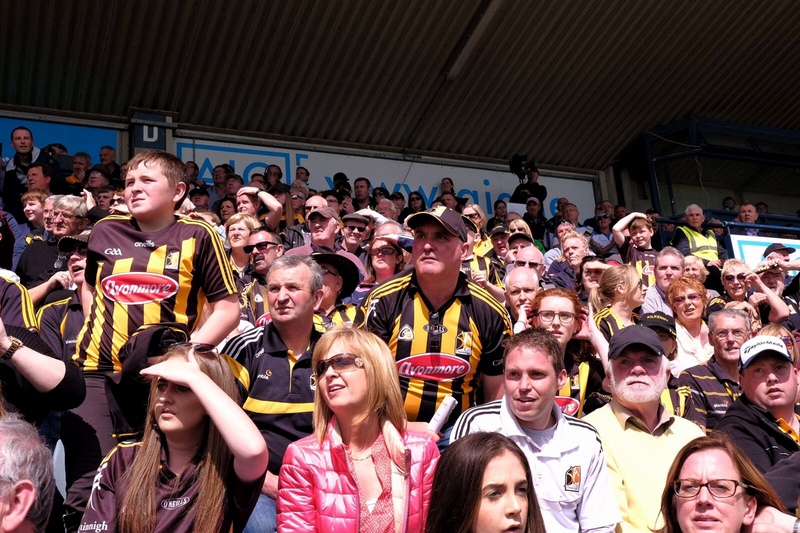 Kilkenny? 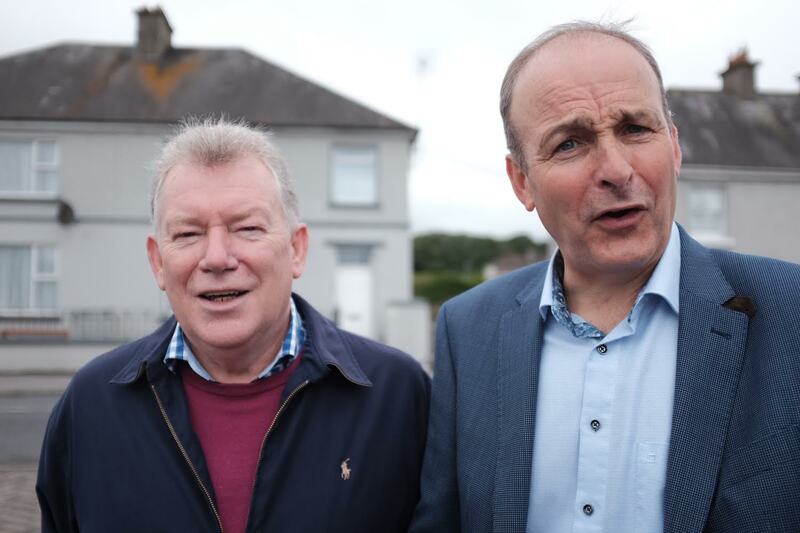 I said to Micheál Martin. Of course! he said. “Ya, but we don’t do it half enough.” I said. 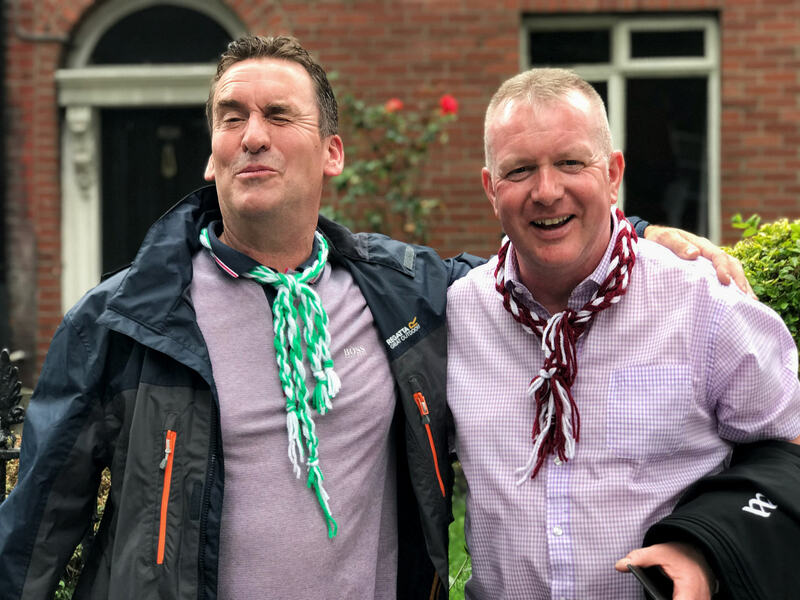 The Fianna Fáil leader was there with his match day buddy Humphrey Murphy. 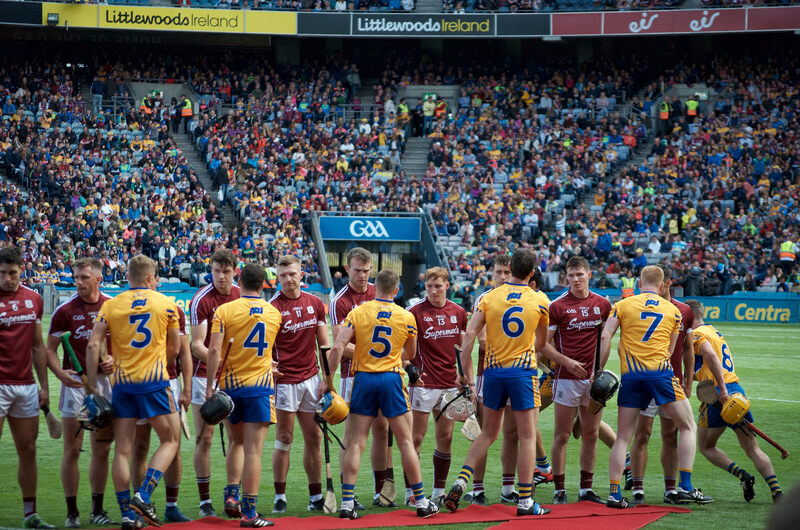 One of the great things about the GAA is being able to get on to the pitch at the end of the matches. As the match neared its end I was making my way towards the barrier to get on to the pitch. 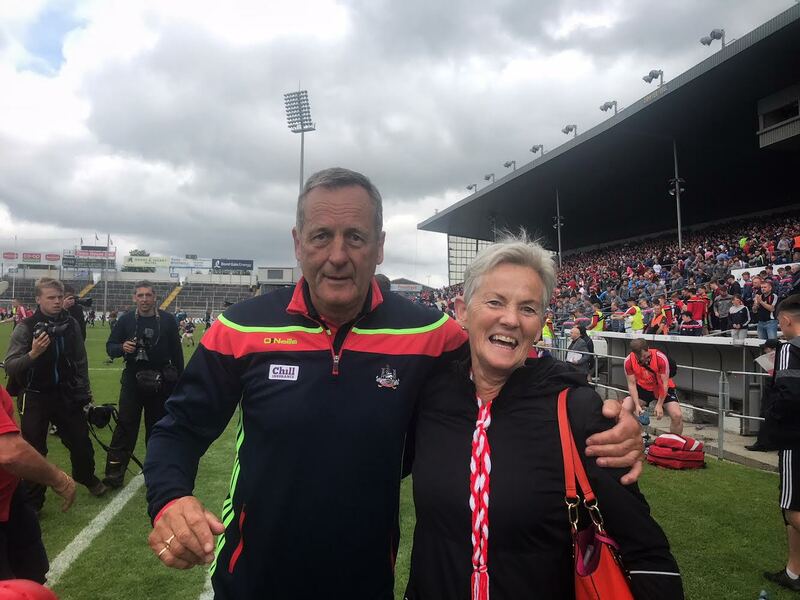 There I bumped into Carmel McMorrow, sister to Cork’s John Meyler. She asked me to take a photo of herself and her brother after the match. Naturally, I was happy to oblige. 74 championship matches. 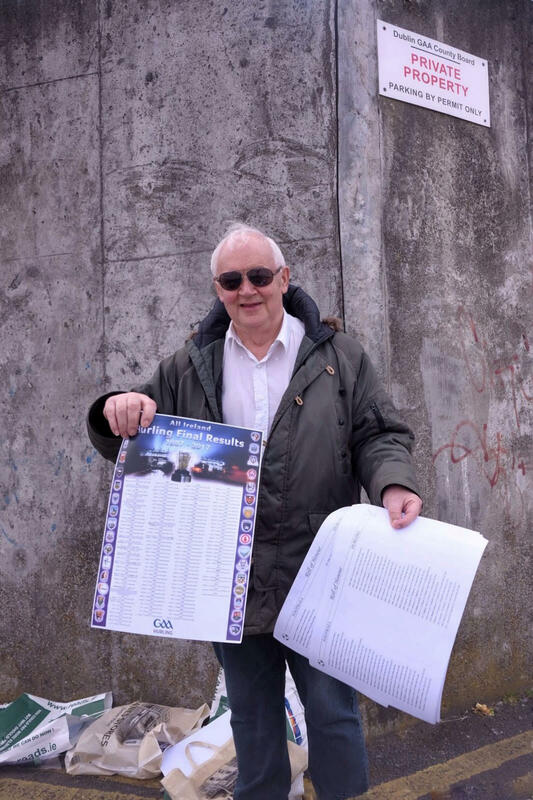 That is the record Michael ‘Brick’ Walsh made yesterday in Thurles. It is some record. Who knows he might be back next year. 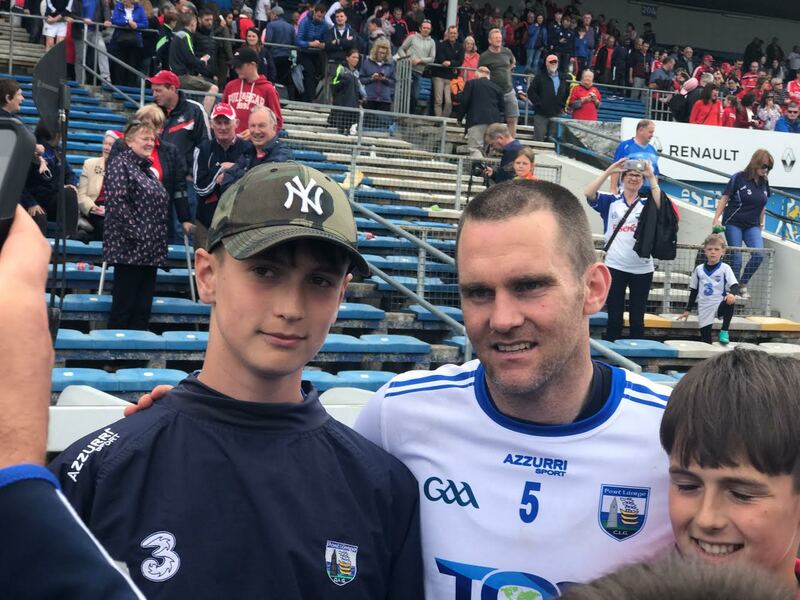 It was lovely to see the crowds gather around him at the end to acknowledge his contribution to Waterford and to the game of hurling. 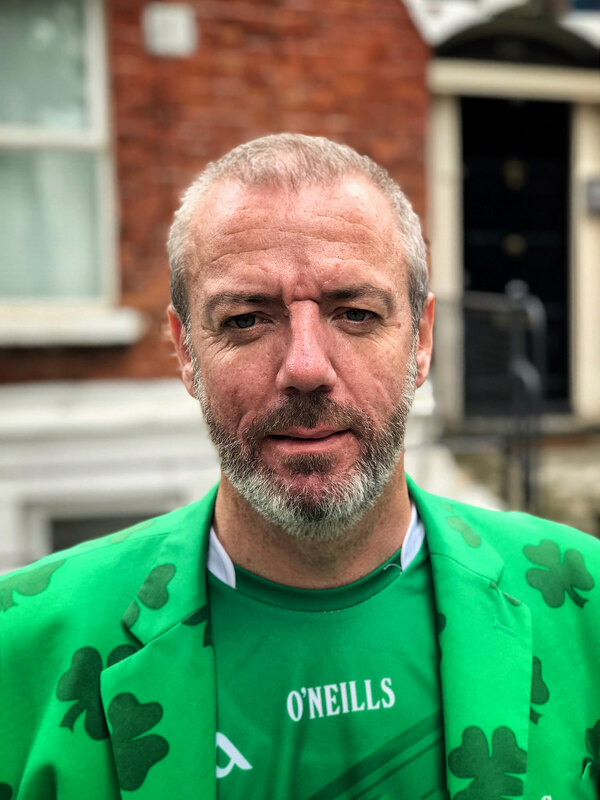 Brick Walsh – 74 games! The first year of the experimental round robin has passed. I have loved it. We all want more games. Sure, there are things which need to be addressed like giving teams a break at the midway point, but all in all there have been some cracking games with people flocking in big numbers to see the games. I have loved it. I am meeting some wonderful people and the reaction has always been positive. I am hearing some great stories. Excited to think about how the rest of the championship will unfold.